Brisbane, 38 years since we last visited, and in one week we found 100 things to do in Brisbane and more. We were impressed with the changes and from what we gather chatting to the locals it came about due to World Expo in 1988. It ran for 18 months and had over 18 million visitors coming to Brisbane. It turned Brisbane from being a ‘boring’ capital city into a city that was exciting to live in and to visit. A new food scene was established, as one local said ‘you could now get more than a Chiko roll (for those that remember them) from the local chippie’. 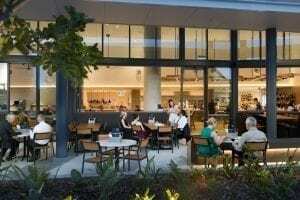 Today Brisbane has a vibrant and stylish restaurant, cafe and bar scene. A wealth of cuisines on offer and some of the most stunning outdoor eating areas that you could ever wish for. 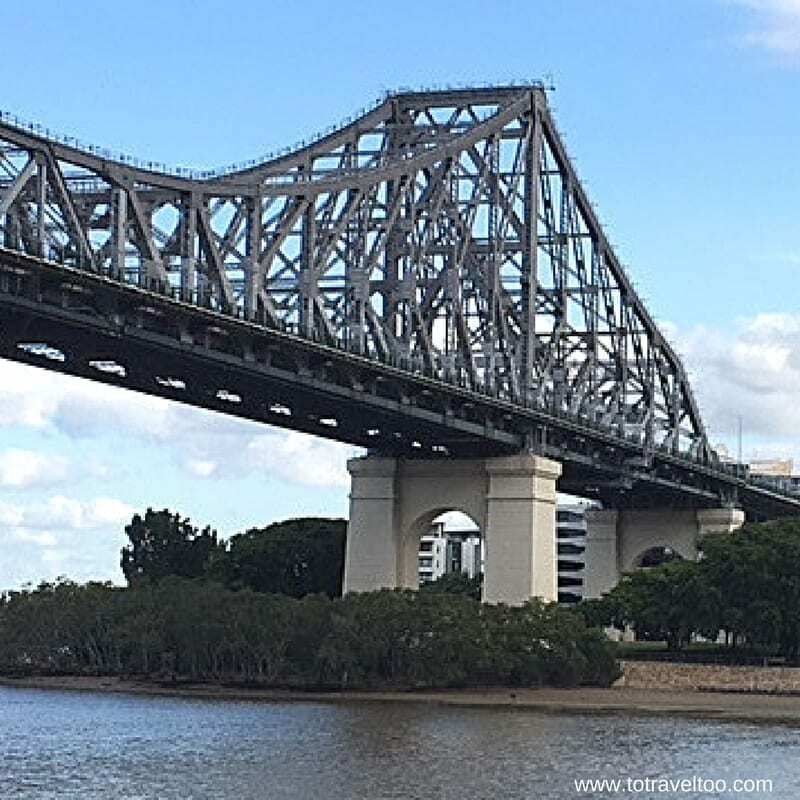 There are many Brisbane activities to enjoy, don’t rush your visit, plan at least 7 nights and even then you won’t have seen all the things to do in Brisbane Australia. 8.7 64. Gold Coast and Canal Day Tour. Matthew Flinders, a European Explorer, was the first European to set eyes on the Brisbane area visiting Moreton Bay in 1799. 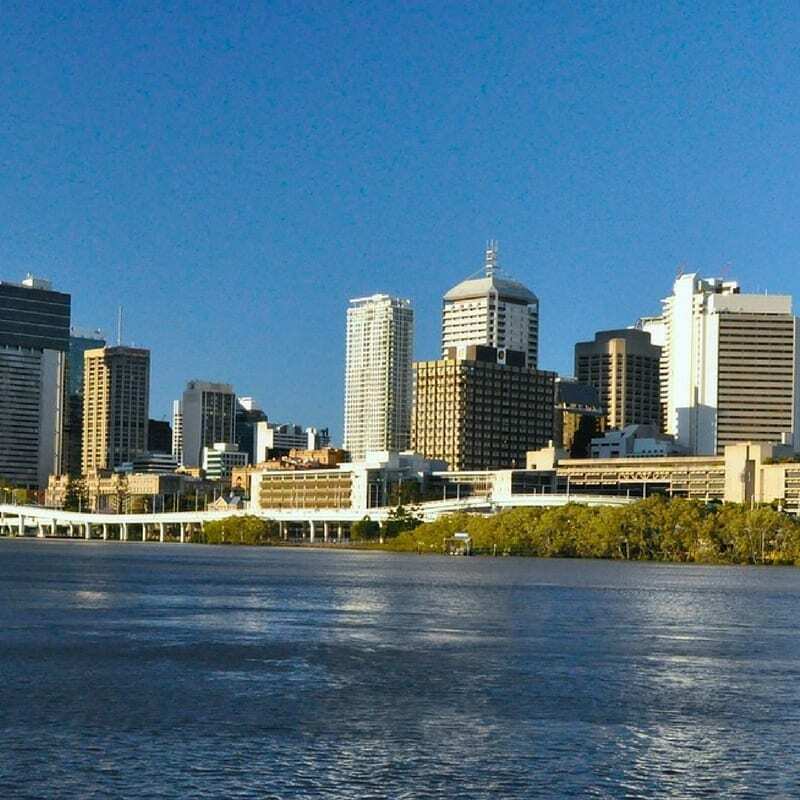 The area was inhabited by the Jagera and Turrbal aboriginal people who had settlements around Brisbane River. The Brisbane River was their source for food and water. In 1823 the then NSW Governor Thomas Brisbane sent Sydney’s most dangerous convicts to settle in Brisbane. On the 6th September 1859, Brisbane was declared a municipality. 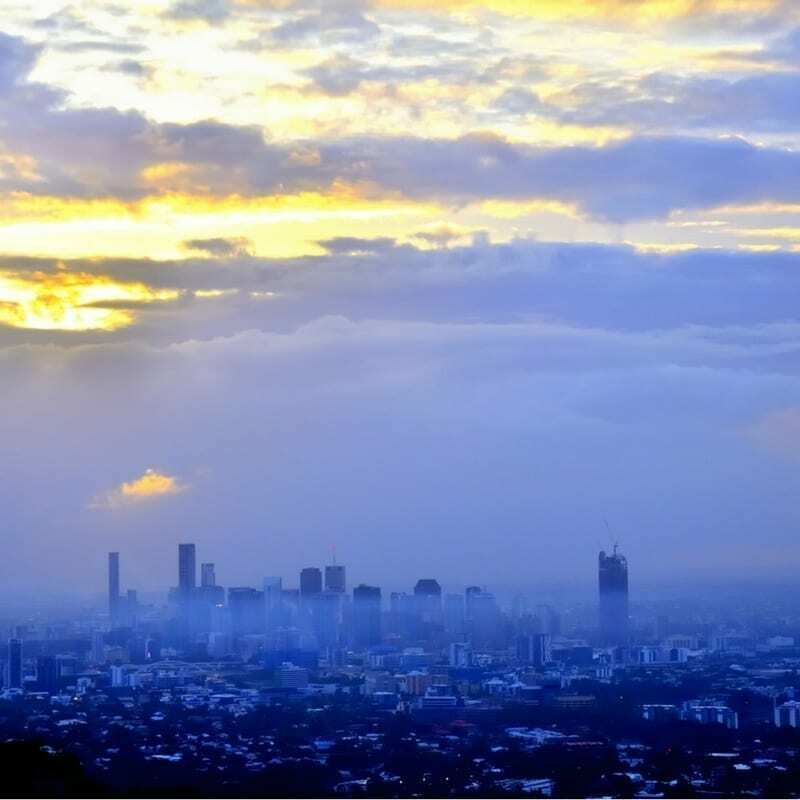 The city hosted the 1982 Commonwealth Games, World Expo 88, and the 2014 G20 Brisbane summit. Brisbane is located on the east coast of Australia and is the capital of the state of Queensland. You can now take this article with you offline after you have downloaded it. Click here for more details. 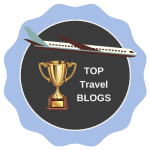 Hot tips on Brisbane attractions on where to go, what to eat and what to do from a local are invaluable for getting the most out of your visit to Brisbane. Queensland Art Gallery and Gallery of Modern Art located at Stanley Place Southbank. The focus apart from International Exhibitions is on contempory art from the Australia, Asia and Pacific regions. Whilst there you can enjoy dining out at cafes and restaurants and there is also a shopping precinct. Throughout the year there are many exhibitions on offer and there are guides available who run tours of the different exhibitions that are showing. Click here for more information. James Street in Newfarm is a bustling food scene in Brisbane for great bars and cafes as well as some great shopping to be had with exclusive designers such as Camilla and even a David Jones boutique store. 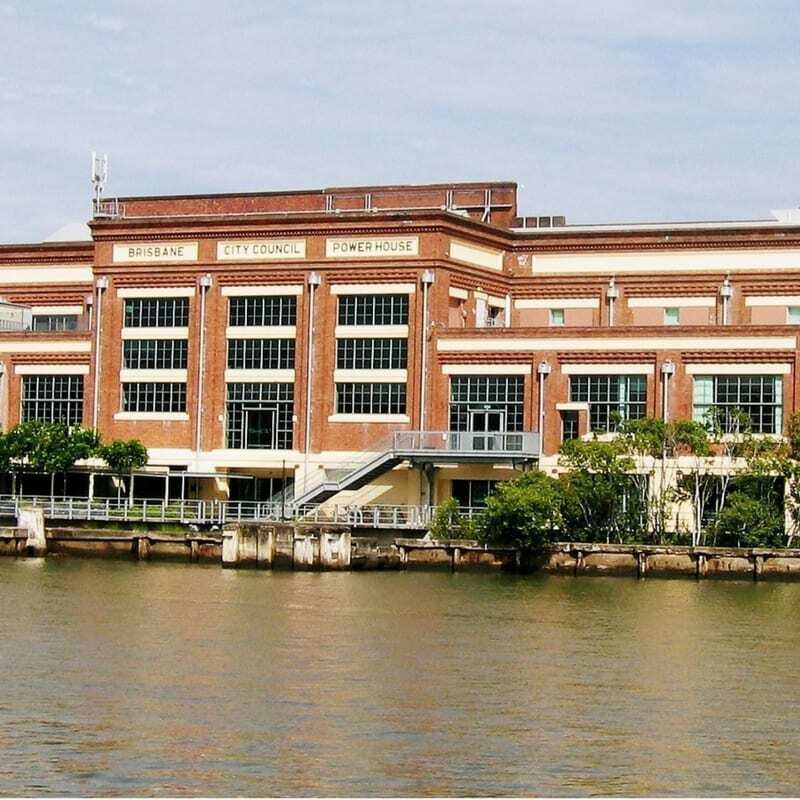 A visit to the Powerhouse at 119 Lamington Street New Farm is a must for it is Brisbane’s hub for contemporary arts, festivals and performances. 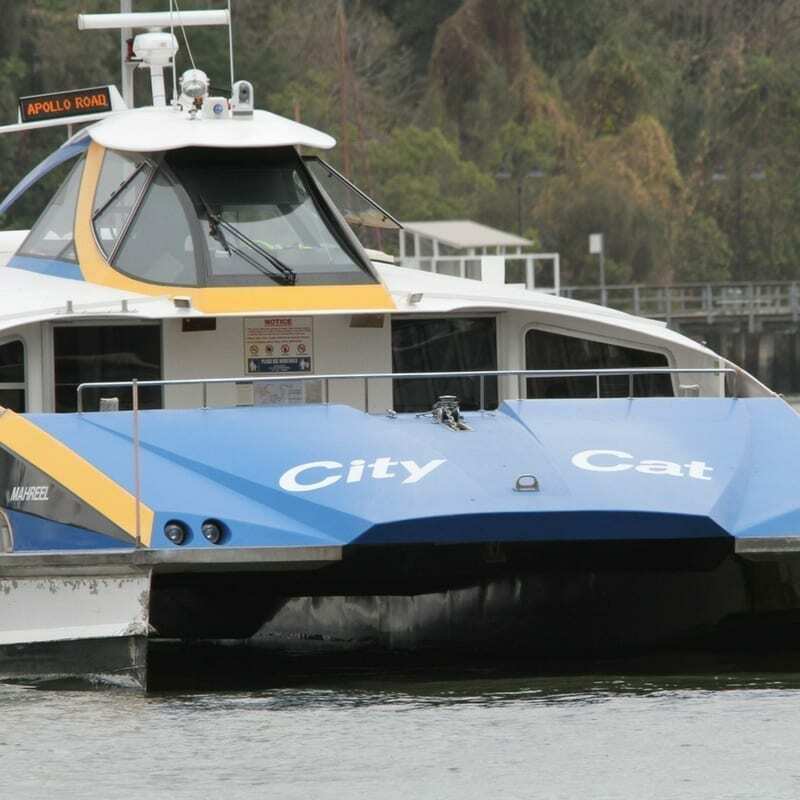 A great way to travel around the City is via the City Cat stopping at many of the top stops along the Brisbane River. Services run every 15 minutes. Click here for more information. Fish Lane is great at night particularly ‘Maker’ for a pre-dinner cocktail and Julius – the Pizzeria. Fish Lane is Brisbane’s coolest laneway in South Brisbane. 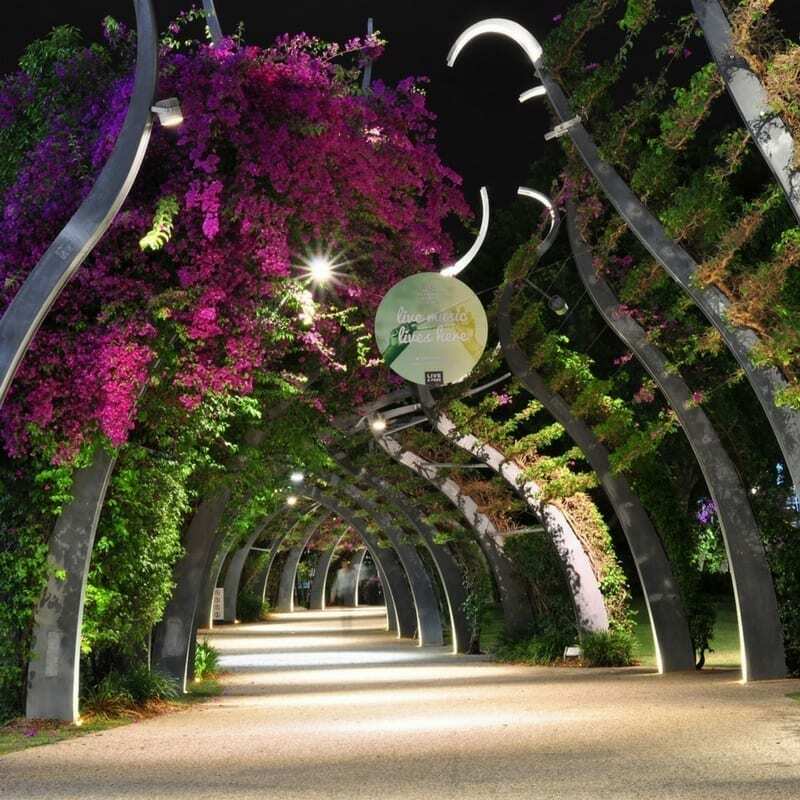 Enjoy the 56-hectare gardens of Mt Coot-ha where you can enjoy a guided night walk or participate in the many daily events and workshops. Click here for more information. Located at 221D Macarthur Avenue in Hamilton, Eat Street Markets have over 180 eating establishments to enjoy whilst listening to music. There is an entrance fee of $2.50 for adults and free for kids. The hot tip is to get there early as it tends to get very busy. Opening Hours: Friday and Saturday 4.00 pm to 10.00 pm and Sundays 12.00 pm to 8.00pm. Bulimba, 4km north east of the CBD is a nice riverside village of Brisbane with good cafes and bookshops. Why not enjoy fish and chips with views over the river at the Bulimba Riverside Park. You can reach Bulimba by the City Cat. The Glasshouse Mountains 31km from Brisbane were once Aboriginal tribal lands. They have a range of walking trails and abseiling locations and also are the location for Australia Zoo. For full day tour details from Brisbane to Australia Zoo click here. Springbrook and Mt Tamborine are only a 60 minutes drive south of the city. 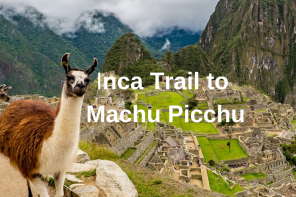 You can enjoy wandering their beautiful lanes and short walks through the subtropical rainforest. Click here for prices and availability for tours. Bartley’s Hill Lookout is a local secret and best to enjoy sunset there followed by a wine at ‘The Stables’ on Racecourse Road, Ascot. Bartley’s Hill Lookout is located at 7 Massey Street, Ascot. If you go North DEFINITELY go to the Sandstone Point Hotel on Pumicestone Passage – definitely one of Queensland’s best pubs (if you can even call it that it’s more like a fun park…with great food and great views). Pumicestone Passage runs for 35km, a narrow waterway between Bribie Island and the mainland. If you go to the Gold Coast stop off at Hope Island on the way and have lunch at the BoardwalkTavern. If you take the Airtrain from Brisbane you will need to get off at Helensvale. 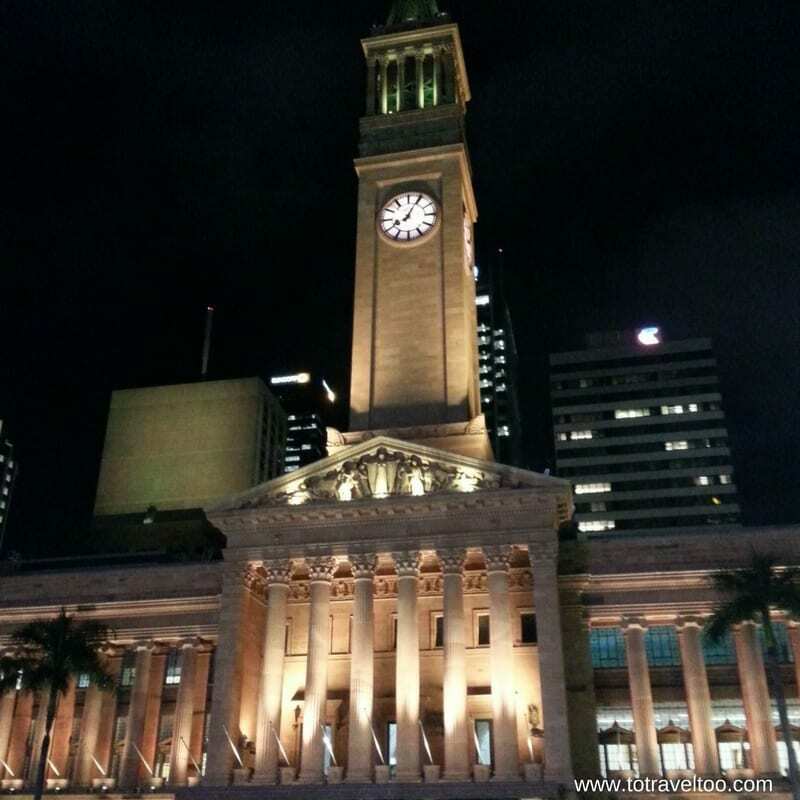 When you visit Brisbane we highly recommend that you put aside 3 -4 hours of your morning and enjoy one of the Brisbane Greeter scheduled Brisbane tours. 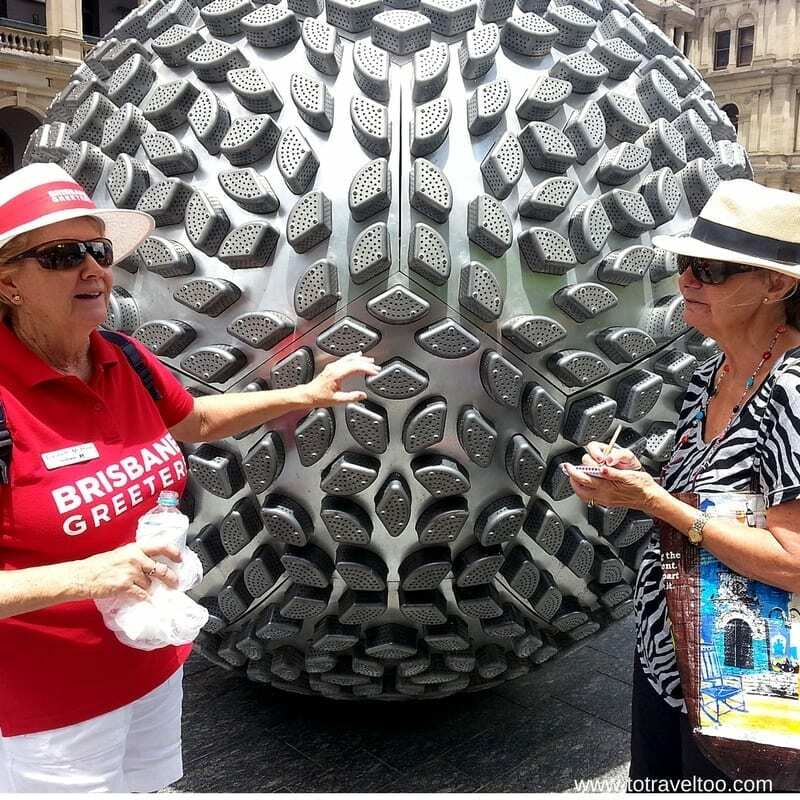 Our Brisbane Greeter was Elizabeth McPhee who enthralled us with her knowledge of Brisbane. Elizabeth was born in Brisbane and has lived there all her life. 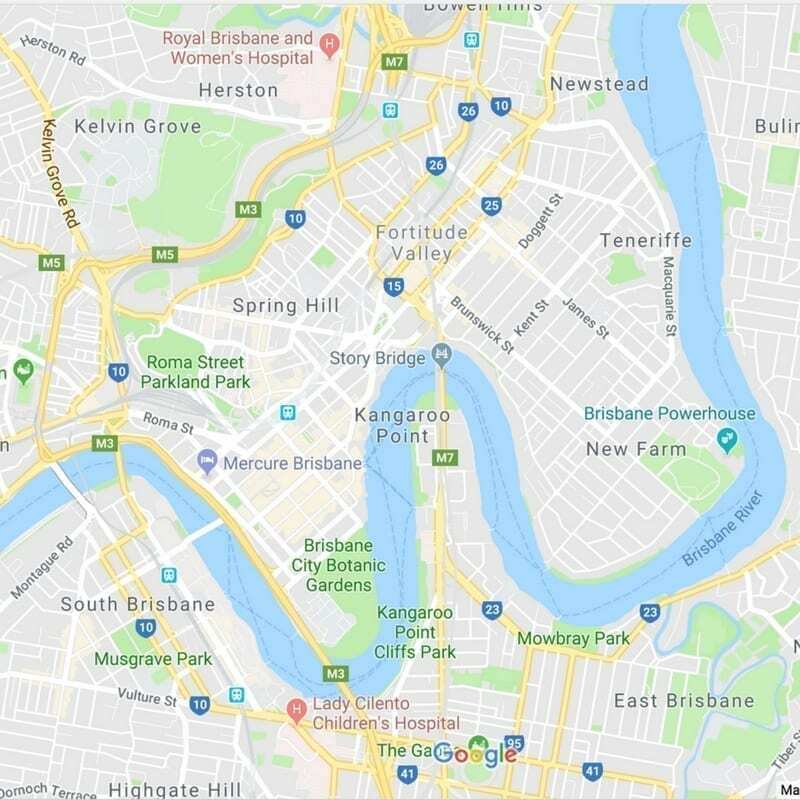 Here are some of the highlights of our tour (we will not steal Elizabeth’s thunder and detail all that we learned), we will leave it up to you to reach out to Brisbane Greeters and join one of their tours. Brisbane City was named after Major General Sir Thomas Makdougall Brisbane, the then Governor of NSW (1821-25). He was born in Largs in Scotland. Unfortunately, Joh Beilke Peterson, Queensland’s controversial Premier wiped out half of Brisbane’s heritage. The impressive City Hall was refurbished in 2012. 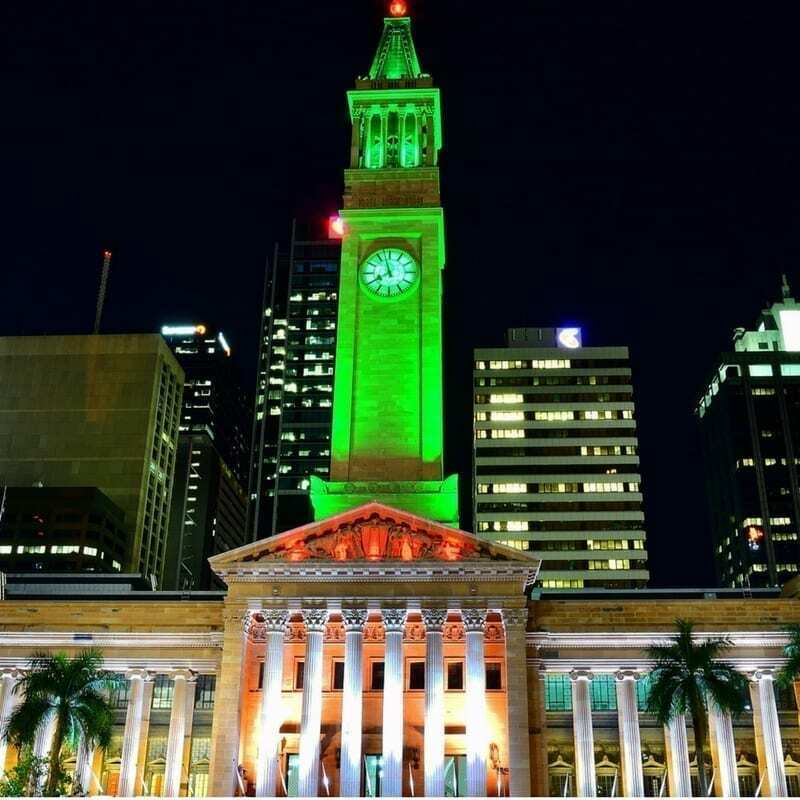 When it was first opened on 8th April 1930 it was the tallest building in Brisbane and remained that for 37 years. The major sculpture on the front of the building was created by the female artist Daphne Mayo in 1930, she also did the mural in Anzac Square. The streets throughout the Brisbane CBD run North to South and are named after Queens and East to West who was named after the Kings. The streets are the width of a cricket pitch which is the same size as the u-turn for the horse and dray back in the era before cars. The trams were a nuisance in the streets, as when they stopped they prevented traffic getting past because it was so narrow. 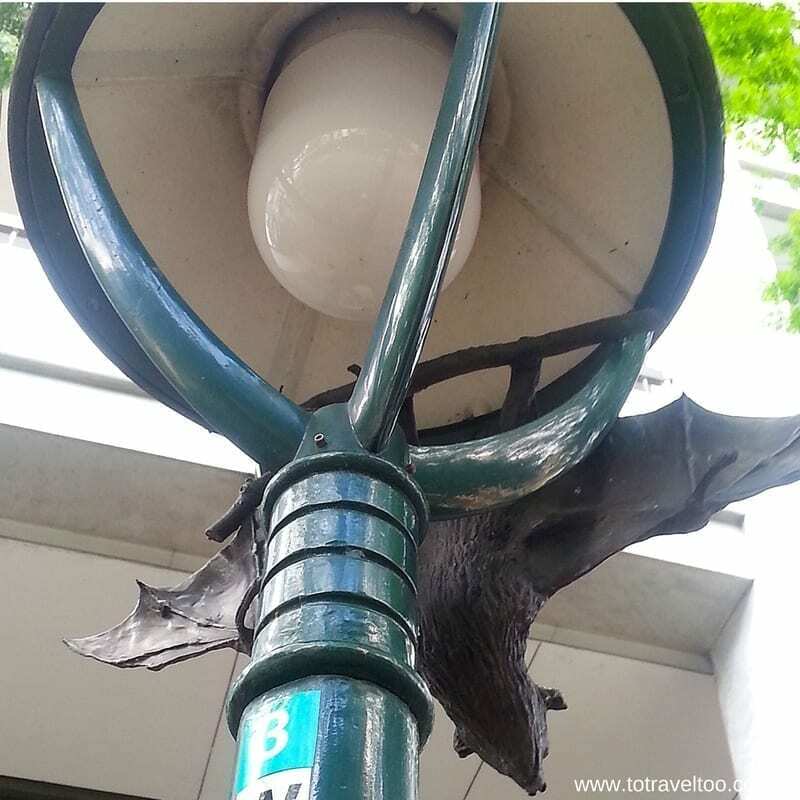 Check out the street lamp posts in Adelaide Street, they are copies of old gas lights, you can also see a few of them with Australian wildlife such as the sugar gliders and possums hanging from them. In 1982 Brisbane hosted the Commonwealth Games. The trams were taken away and Queen Street Mall established. Elizabeth told stories of murder, mayhem, secret tunnels and bullet holes in prominent buildings but we are not going to let the secrets out. 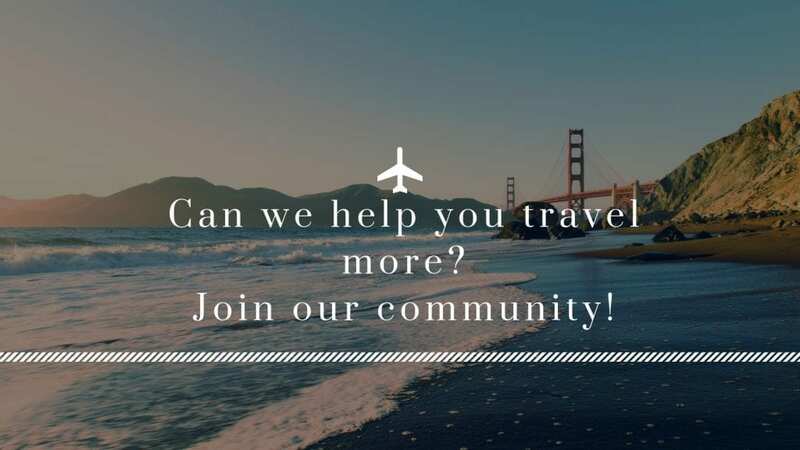 Experiences may include: Contemporary Art and Architecture Trail, Art and the River Trail, Cultural Heritage Trail, City Laneways Trail, World Expo Heritage Trail. Experiences may include visits to Trammies Corner, Latrobe Manor, Mosaic Couch, Latrobe Chapel, Paddington Antique Centre and Plaza Theatre. 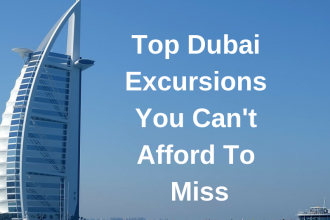 Experiences may include visits to St Stephens Cathedral, Post Office Building, St John’s Cathedral, St Martins House, Masonic Memorial Temple, St Andrews Church and Anzac Square. Experiences may include Walter Taylor Bridge, Brisbane City Hall, Parliament House, Old Government House, Treasury Building, St Stephen’s Cathedral, St John’s Cathedral, Customs House, Brisbane Arcade, Breakfast Creek Hotel, Regatta Hotel. Experiences may include Museum of Brisbane, Queensland Museum, QAG/GOMA, QPAC, Queensland State Library, Queensland Maritime Museum, Powerhouse, Judith Wright Centre. 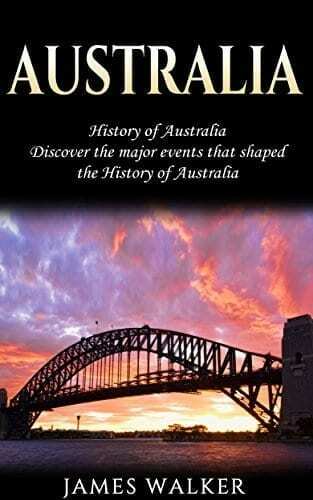 Experiences may include visits to Customs House, Story Bridge, New Farm Park and Powerhouse, Teneriffe and Wool Stores, Newstead House and Hamilton Hill Mansions. A 3-hour cycle ride around Brisbane checking out the local sites making use of the City cycle network. Bicycles are free. Showcasing the best street art the city has to offer between Fortitude Valley, the city and West End. Every Sunday from 8 am to 3 pm is the Riverside Markets located on the Corner of Alice Street and Albert Street at the Brisbane City Botanic Gardens. Click here for more information. 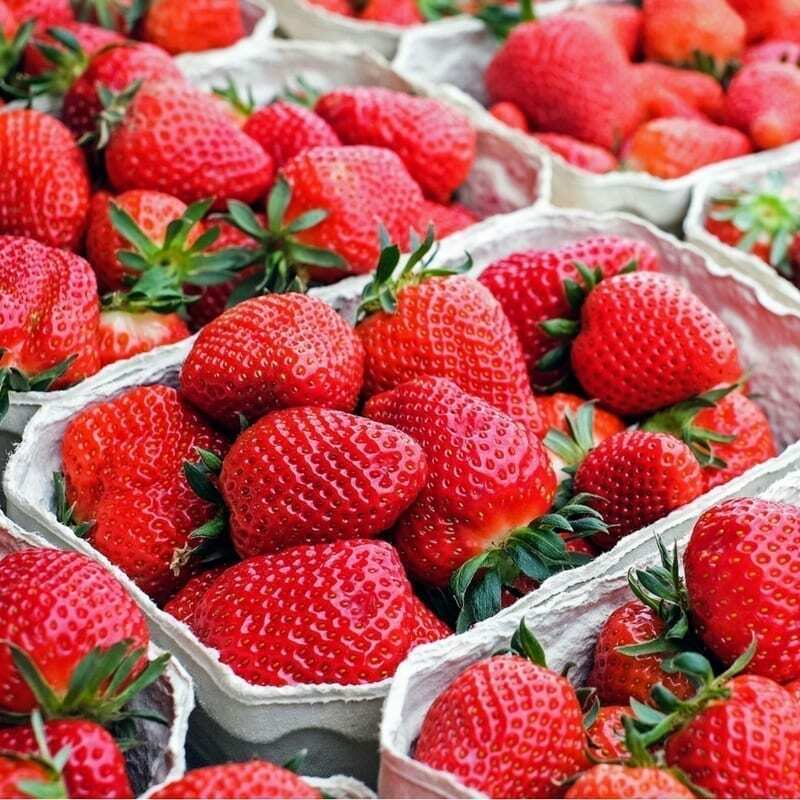 For produce on a Saturday Morning between the hours of 6 am – 2 pm at Davies Park, West End. Held every Wednesday between 9 am and 6 pm at Brisbane Square. Click here for more information. Every 2nd and 4th Saturday from 6 am to 12 pm at the Brisbane Powerhouse on 119 Lamington Street New Farm. Click here for more information. Queensland Maritime Museum, the home of HMAS Diamantina. As well as Diamantina the Museum houses Jessica Watson’s yacht the Pink Lady which she sailed around the world and the 1925 steam tug Forceful. 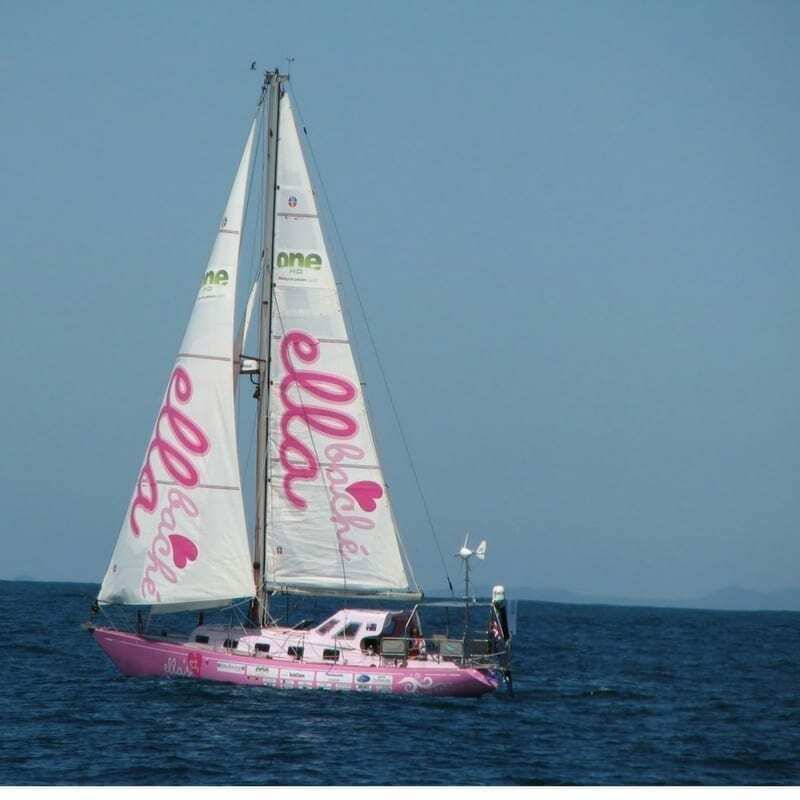 Jessica was the youngest person to sail around the world unassisted at the age of 16. She was awarded an OAM. 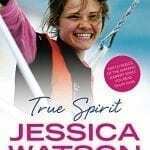 Jessica Watson’s epic voyage of 210 days at sea and more than 22000 nautical miles is told in this incredible story and to think she was only 16 years of age. Open from 9.30 am to 5.30 pm. Museum of Brisbane located at Level 3 City Hall, King George Square. Open from 10 am to 5 pm daily. On Fridays, the Museum is open from 10 am to 7 pm. You can enjoy a free Clock Tower Tour daily every 15 minutes. The lift is a 1930s hand operated lift that takes you to the viewing platform 64m high. Tours operate on Fridays up to 6.45pm every 15 minutes. Free. Tour Beenleigh Artisan Distillers is Australia’s oldest working distillery which is located 30 minutes from Brisbane and the Gold Coast. Click here for latest prices and availability. 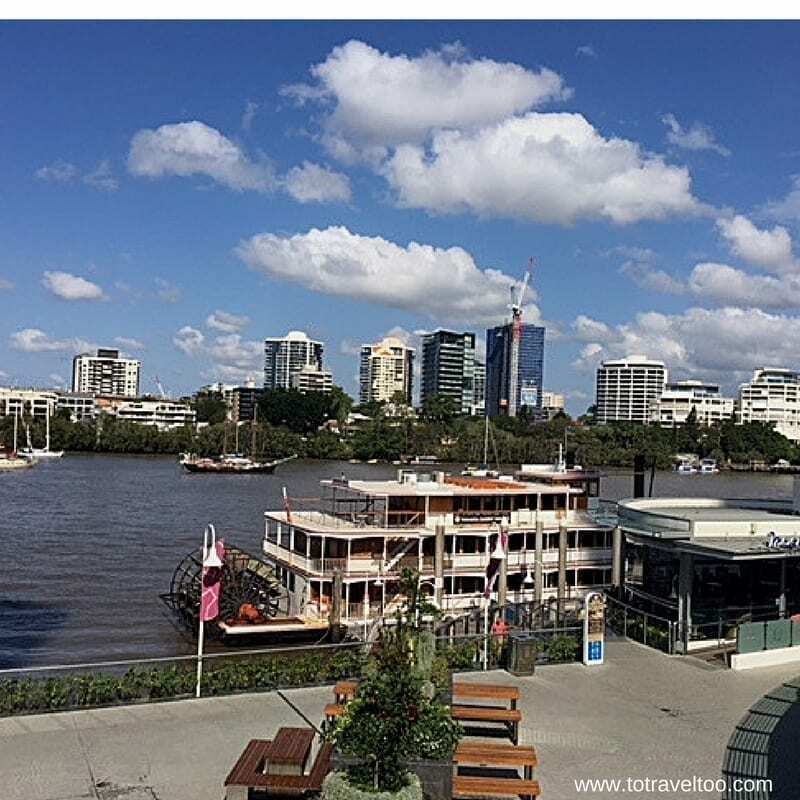 An evening out on Brisbane River on a majestic wooden paddle steamer with a buffet dinner included. 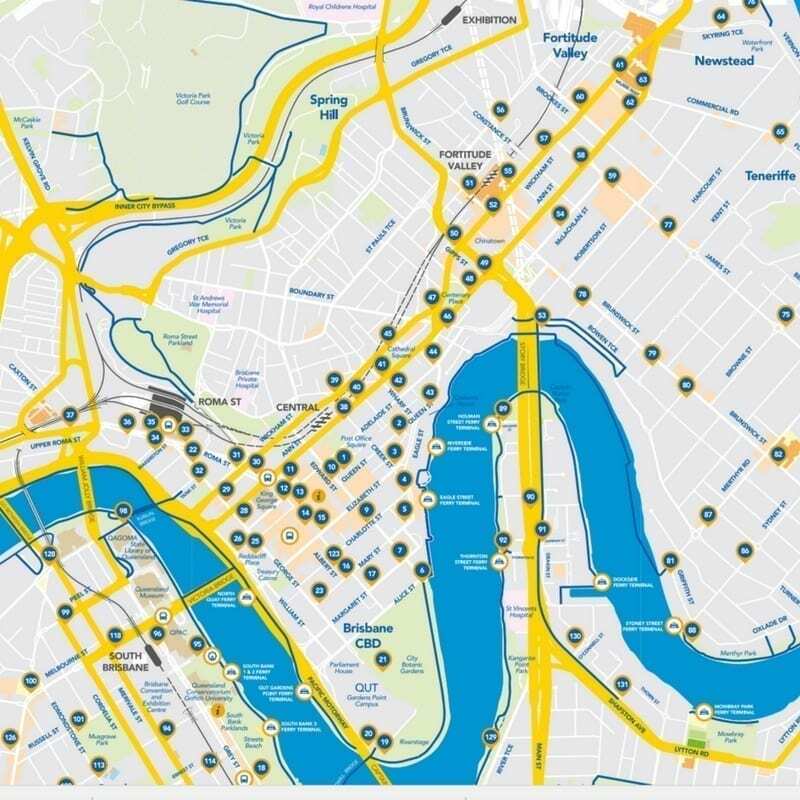 The City Hopper is free and runs daily every 30 minutes up and down the Brisbane River for more information click here. A 2.5-hour afternoon tea cruise on Brisbane River enjoying the sights of the city whilst enjoying the delights scones, cakes, tea and coffee and desserts. Click here for latest prices and bookings. The City Botanic Gardens, located in Alice Street, were established in 1855. 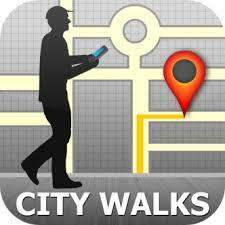 Free guided walks are available twice daily Monday to Saturday. 10 – 15 minute walk from Roma Street Station or Central Station. Click here for more information. 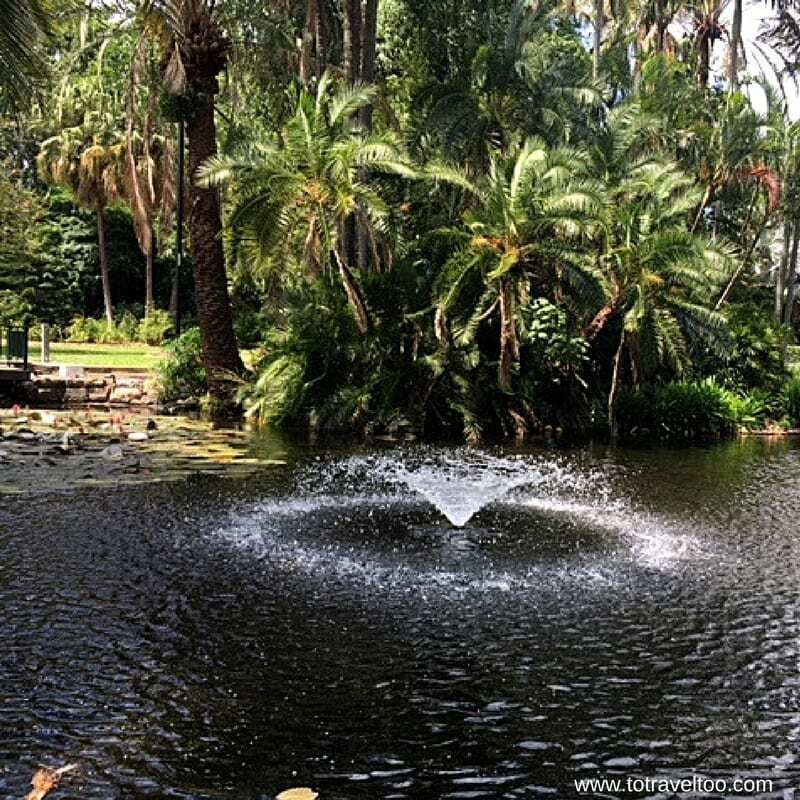 Take a walk through the City Botanic Gardens and take a show at the Gardens Theatre or a guided tour through Queensland’s Parliament House. Visit the QUT Art Museum. Click here for more information on what is on. Enjoy 360-degree views of Brisbane and the surrounds during the dawn, day, twilight and night climb at the Story Bridge for your 2-hour climb adventure. Click here for the latest prices and available climbs. 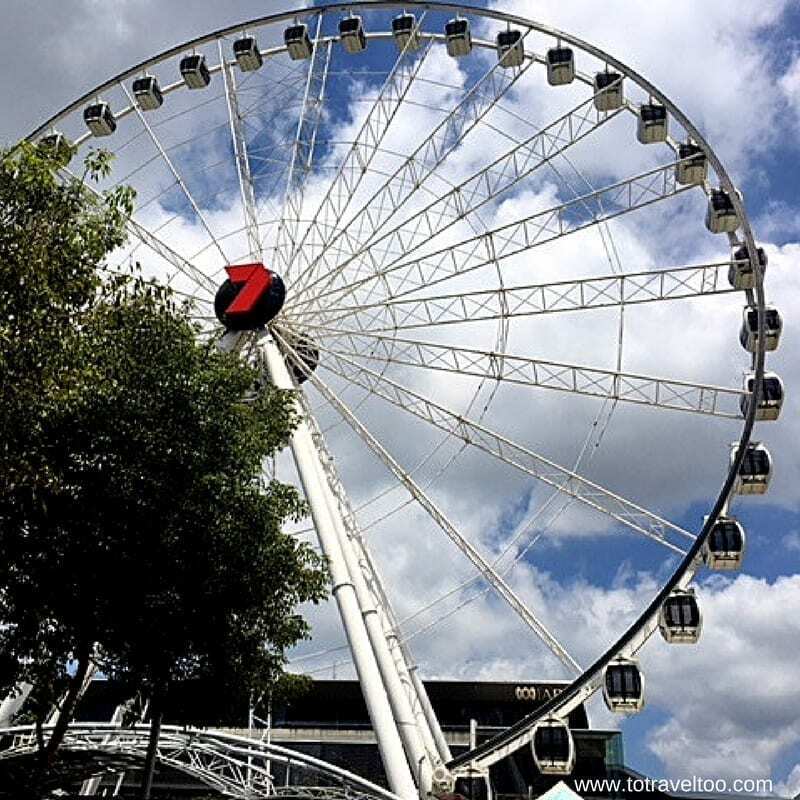 For 360 degrees views of Brisbane why not try the Wheel of Brisbane 60 metres above the ground. All gondolas can seat 6 adults and 2 children. How about a day out visiting local pubs by Helicopter and Limousine? The tour includes a pub lunch and beers at 4 pubs. What a great day out! Click here for latest prices and availability. 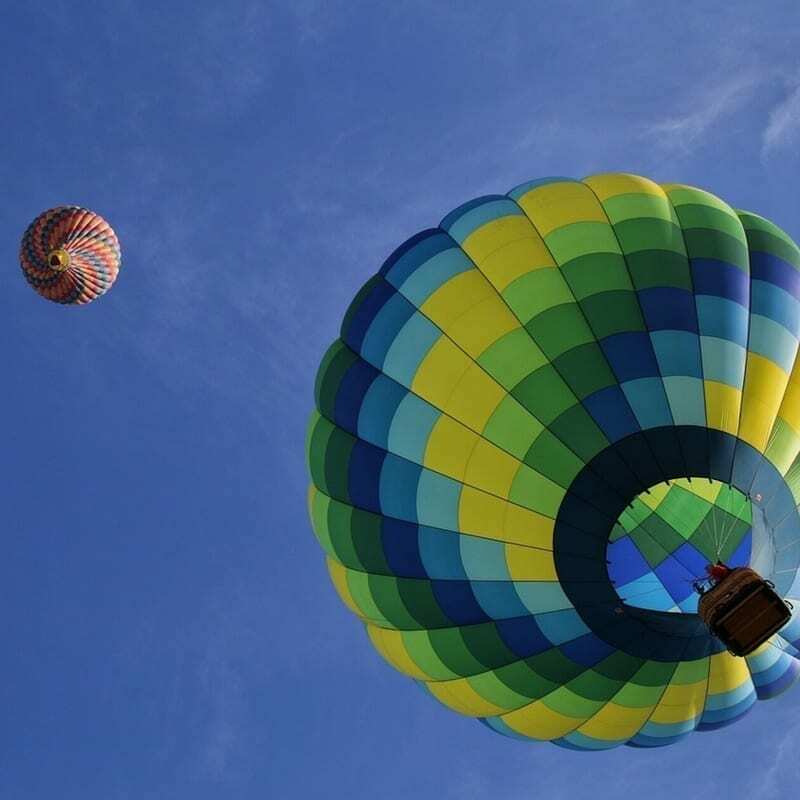 Just 30 minutes outside of Brisbane in the city of Ipswich you can take a sunrise hot air balloon ride over the countryside and at the end enjoy a champagne breakfast. Click here for latest prices and booking. A family owned and run winery 40 minutes from Brisbane and the Gold Coast. 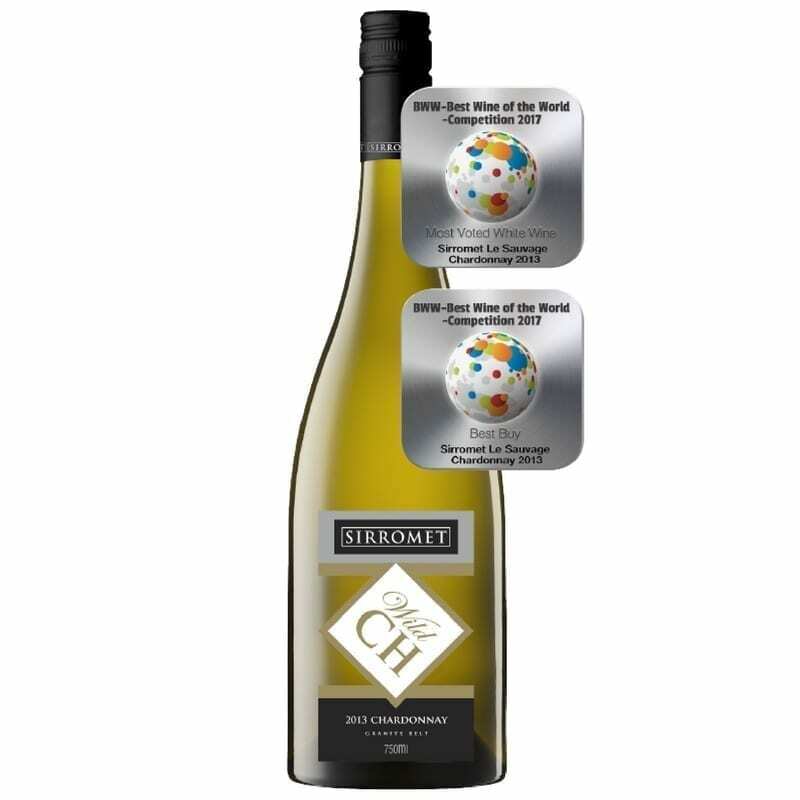 Sirromet Winery is also Queensland’s largest winery and winner of many awards. The Cellar Door is open from Monday to Sunday 9 am to 4.30 pm. Live Music from 12 pm to 3 pm. Tuscan Terrace Restaurant offering home-cooked Tuscan style food. Open from Wednesday to Saturday 11 am – 3 pm and Sunday from 11 am – 3.30 pm. A Full Day Wine Tour which includes tastings at 4 wineries, a local distillery and a 2-course lunch. A 90-minute walk with an eerie tour guide through the heart of Brisbane City where you may come across the arcade ghost or ride the haunted lift. 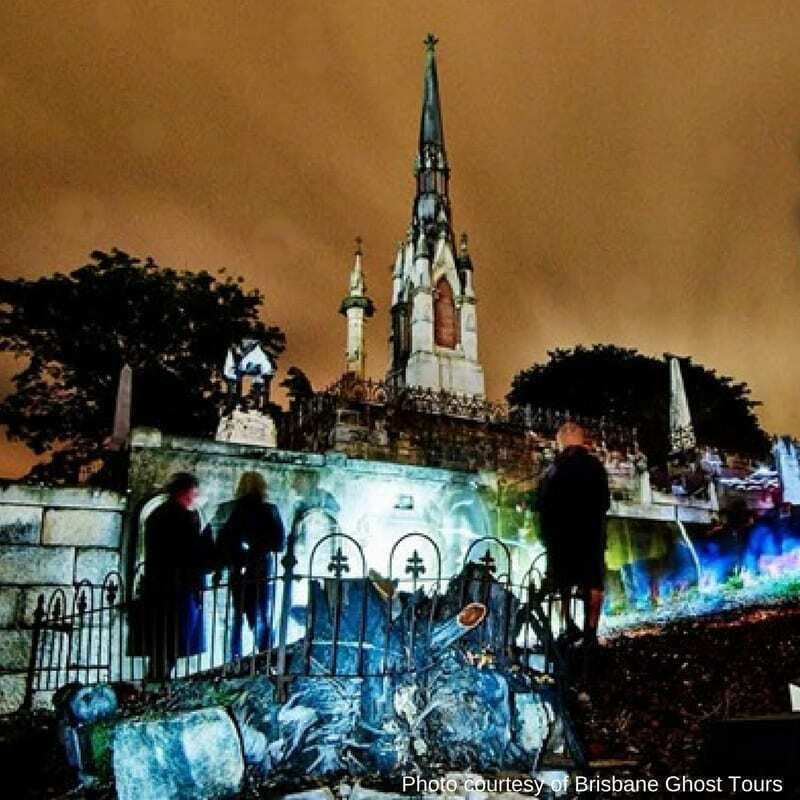 A 2-hour historic ghost tour of Toowong Cemetery of its haunted graves. Do you dare? Puzzled Room Escape offers a unique thrill of interactive real-world adventure that will challenge your mind. A 2-hour tour of the old Boggo Road Gaol with stories of executions and the goings on from the wardens and the inmates. Click here for latest prices and booking. 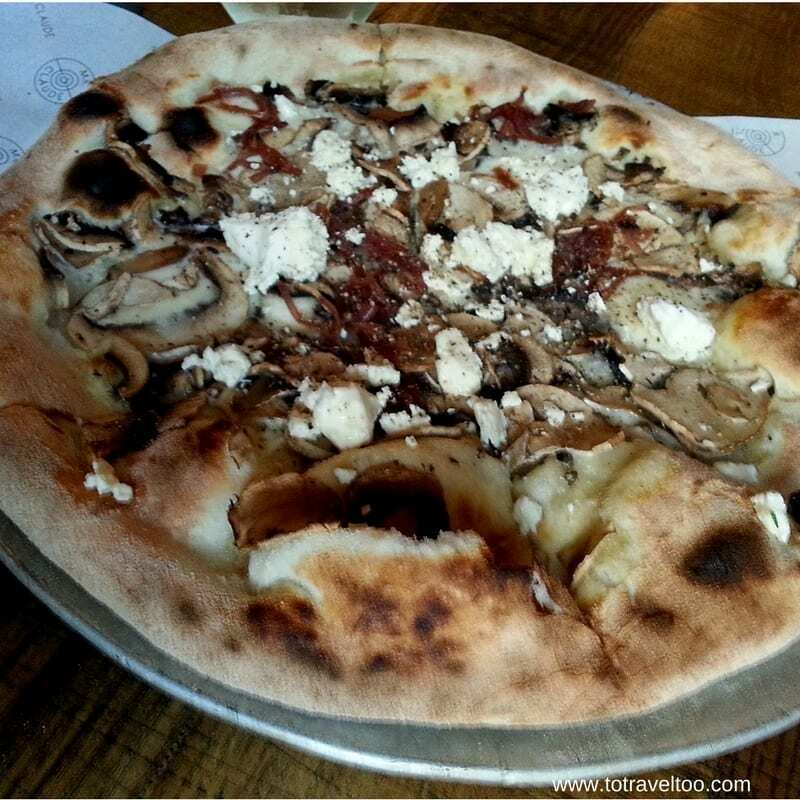 A visit to 3 food venues around Brisbane to enjoy the culinary delights of native, Asian and European gastronomic cuisines. Visit the small town of Montville on the way to Noosa. Montville is located near the Glass House Mountains and if you love coffee this is the place to visit. Montville Coffee is Queensland’s first certified fairtrade and organic coffee roaster. One hour from Brisbane is Bribie Island. Take a Bribie Island Boat and 4 x 4 Tour and see dugongs, dolphins and turtles. Click here for latest prices, information and booking. Visit Tangalooma for the day or for a longer stay. There is a fast ferry from Brisbane for day trippers. You can snorkel around the wreck. If you are on a budget you can take the car ferry as a passenger and camp overnight in the National Park. 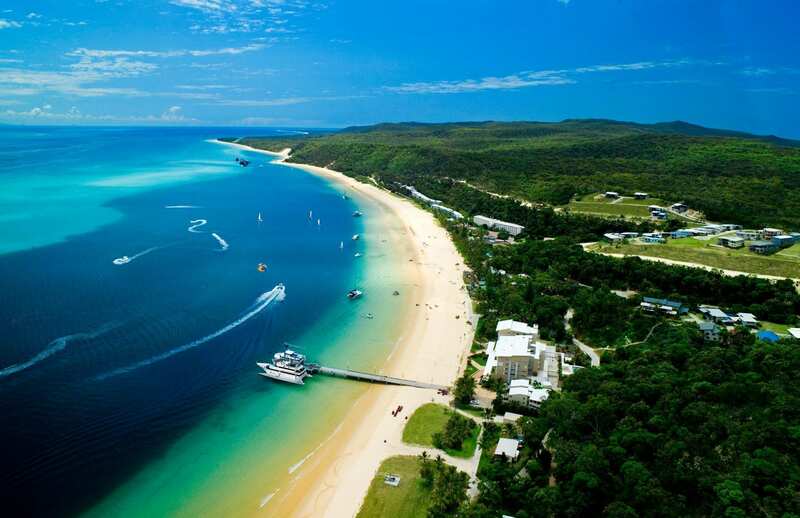 Tangalooma Island is the world’s 3rd largest sand island and you can hand feed wild dolphins, see whales, stingrays, dugongs, seabirds and turtles. Click here for latest prices and availability. One of the best markets we have ever visited in the world is in the hinterland outside Brisbane near Noosa. The Eumundi Markets are open on Wednesday, Friday and Saturday. Click here for latest prices. 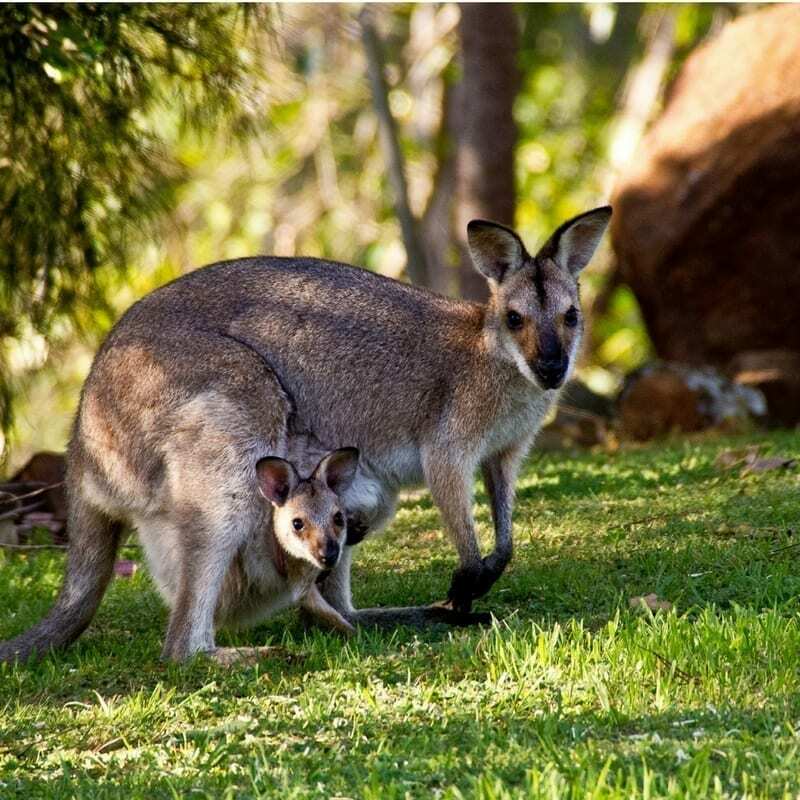 A Stradbroke Island Day Trip from Brisbane to visit the beaches and the wildlife which includes kangaroos and koalas. Lunch included. 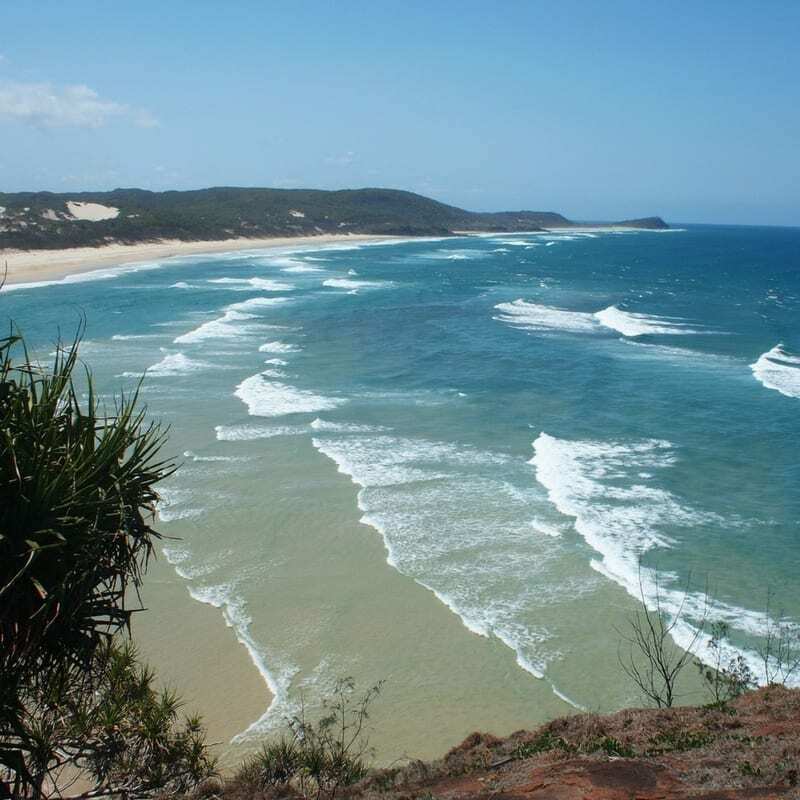 A full day tour to Noosa Heads, one of Queensland’s most visited destinations. A great place to shop and enjoy coffee or lunch. Also included is a ferry ride and a visit to the quaint town of Montville. 64. Gold Coast and Canal Day Tour. A day tour visiting the Gold Coast, Palazzo Versace, Pacific Fair Shopping Centre, Burleigh Heads and the Broadwater Canal. A day trip enjoying the sights and sounds of Byron Bay, across the border in NSW. Cape Byron is famous for being the most eastern point of Australia, its lighthouse is one of the most powerful in operation. Byron Bay is a laid back surfie town and one of Australia’s most popular seaside towns. 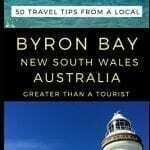 If you are considering heading down to Byron Bay a good reference guide is ‘50 tips from a local. We love nothing better than getting tips from a local – Lauren Williams – who shares with her readers the inside scoop. 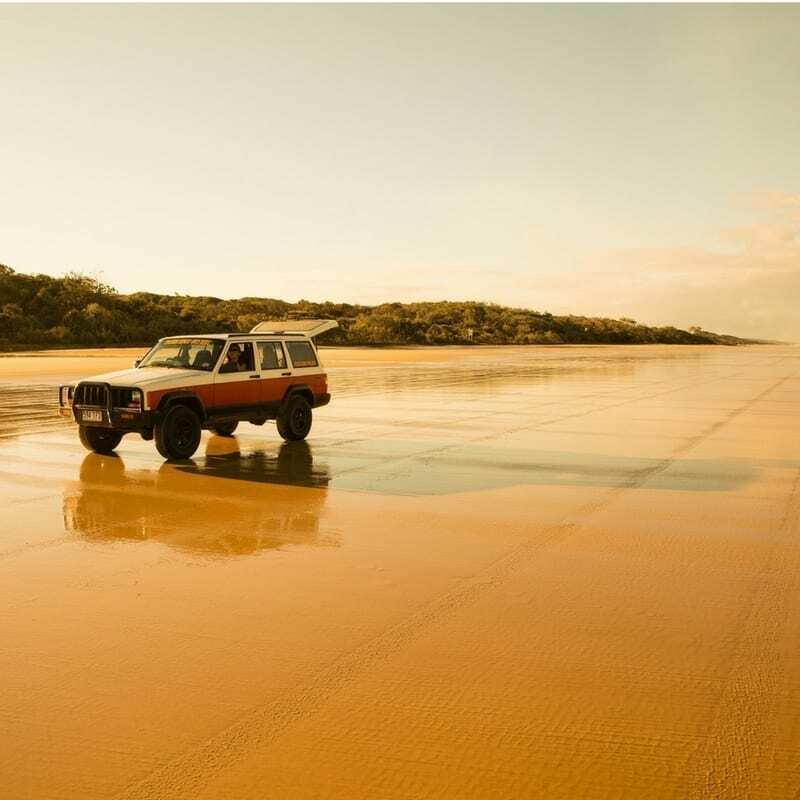 Explore the UNESCO World Heritage Site of Fraser Island on a day trip from Brisbane. 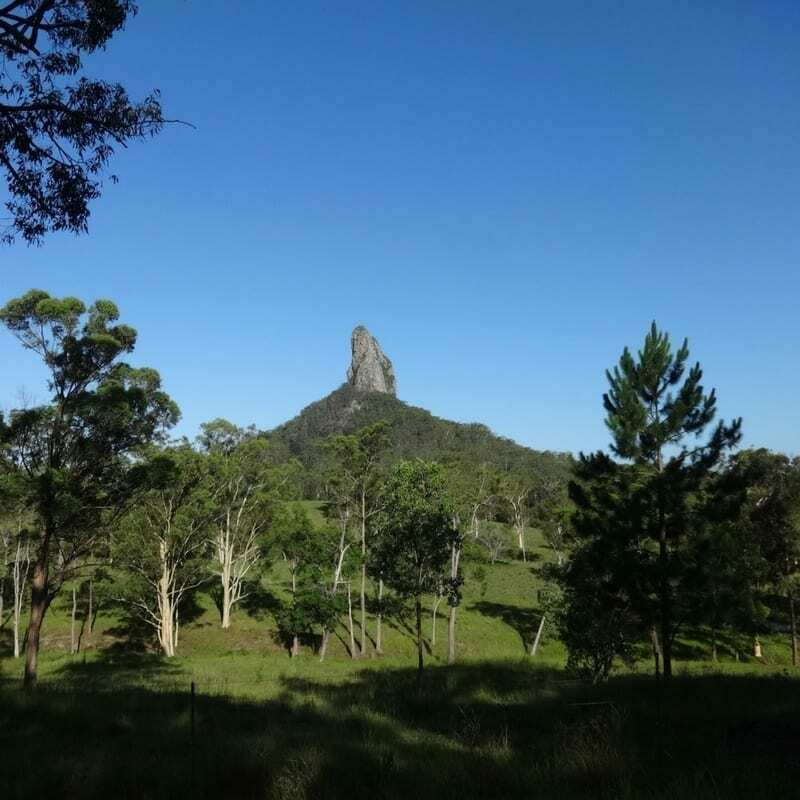 Drive along the scenic roads of the Glass House Mountains, cross to Fraser Island by ferry, see forests of satinay and kauri trees, look for indigenous animals and more. Enjoy unlimited entry to Warner Bros. Movie World and Sea World for 2 consecutive days. 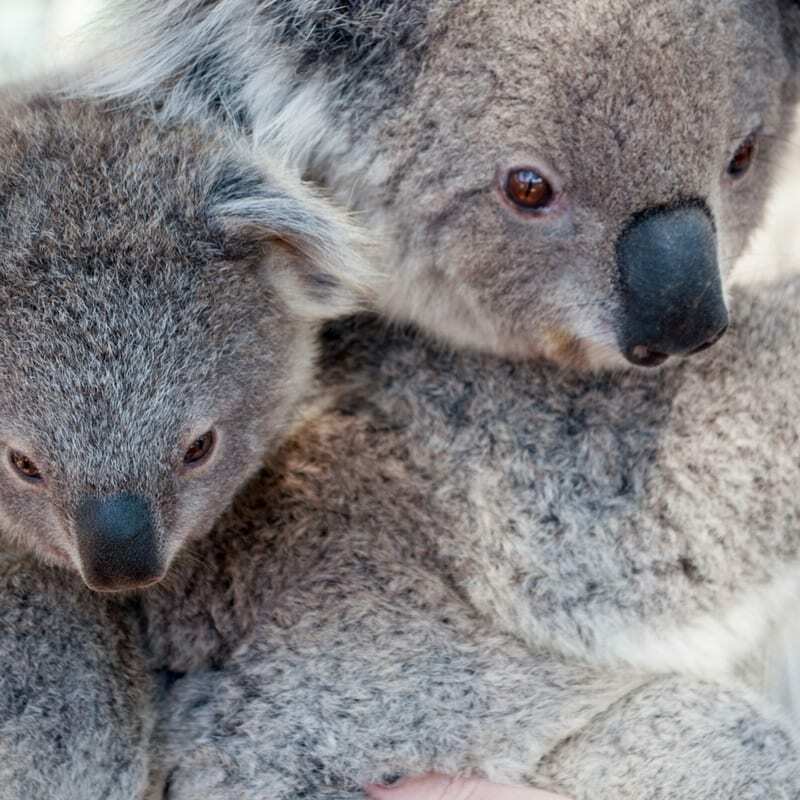 A general admission ticket where you can get up close and cuddle a koala and feed a kangaroo. Explore the world’s most interactive zoo at your own pace and watch daily animal shows by saltwater crocodiles. Explore the Gondwana rainforests, stunning waterfalls and a natural bridge, and tour the glow worm caves at Cedar Creek. Visit a winery and enjoy lunch in a restaurant overlooking the vineyard. Spend a day gaining in-depth understanding of these ancient forests. This tour is suitable for nature lovers of all ages, is fully guided and consists of small groups. With spectacular waterfalls and lush rainforest, Springbrook is a must-see! Discover Australia’s biggest LEGO® Store at Dreamworld, offering one of the largest ranges of LEGO products in Australia with exclusive products. Visit WhiteWater World, Dreamworld Corroboree, Motorsports ExperienceMeanwhile, DreamWorks Experience and ABC Kids World. Click here to purchase tickets for Dreamworld. Take a break from the city and enjoy a peaceful kayak on the beautiful Enoggera Reservoir just 12km from the city. Immersed in nature, our instructors will guide you along the water as you experience the calm waters and wonderful wildlife along the reservoir. All hires include safety equipment, a briefing prior to departure, and full or part guidance by qualified instructors (depending on your choice of tour). 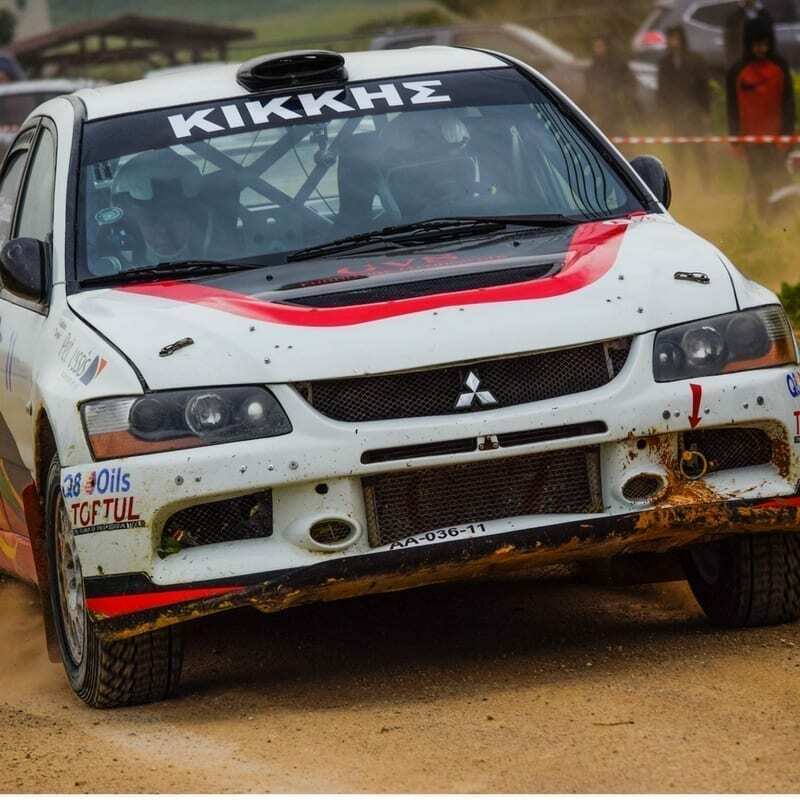 Have you ever wondered what it’s like to ride in a championship spec 4WD Turbo Subaru or Mitsubishi rally car? Do you want to experience the high-powered world of rallying from the navigator’s seat? Soar above Byron Bay on an exciting tandem skydive! Enjoy a scenic flight over the beaches of Byron Bay, then experience the thrill of a 60-second free fall from a height of 15,000 feet (4,572 meters), followed by a spectacular five-minute descent by parachute. Located in the beautiful Scenic Rim of South East Queensland, Summer Land Camel Farm is just a 45-minute drive from Brisbane’s CBD and 80 minutes from the Gold Coast. 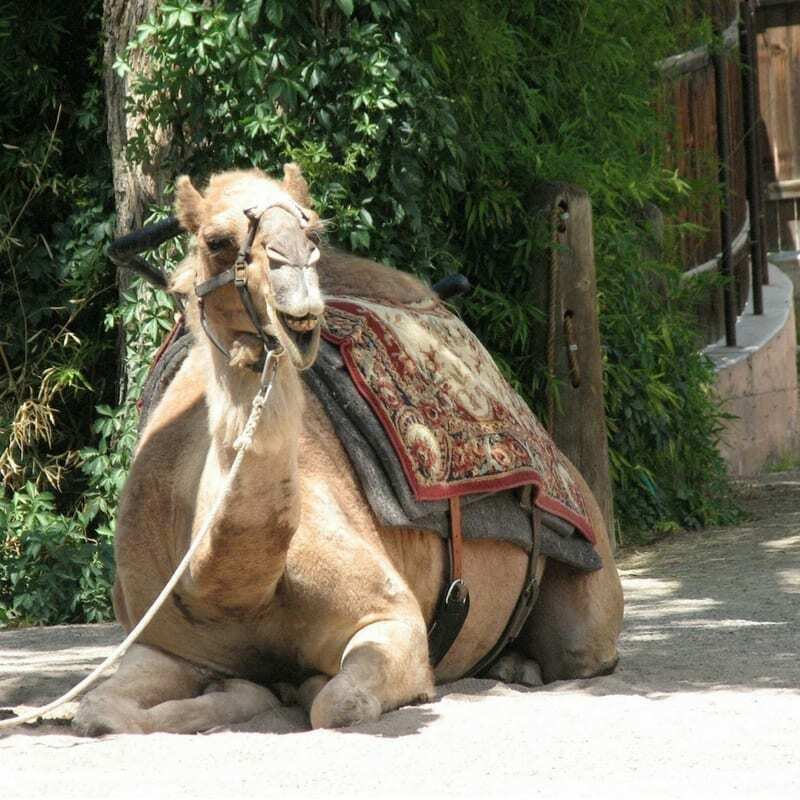 Enjoy riding upon Summer Land’s loved camels, one of humanity’s most trusted and ancient animal companions. Strong, stable, gentle, intelligent beauties with personalities that you’re sure to fall in love with. Click here for latest prices and details. The Delectable Farm-to-Table Indulgence tour will take you on a scenic journey through the Sunshine Coast Hinterland and along the stunning Sunshine Coast. This food tour showcases local produce and iconic ingredients from the regions we will be visiting with additional stops along the way to ensure you can take in the beauty of the Sunshine Coast. It is a four-course lunch-time experience with wine and cocktails that gives you the opportunity to stay in beautiful Noosa or return to the city life of Brisbane. Hear an eerie bull-roarer, the signaling of an ancient Aboriginal initiation ceremony and the start of the show, before you enter and experience “The Dreamtime” (the passing down of knowledge by the ancestors) by a proud descendant of Australia’s ancient culture. 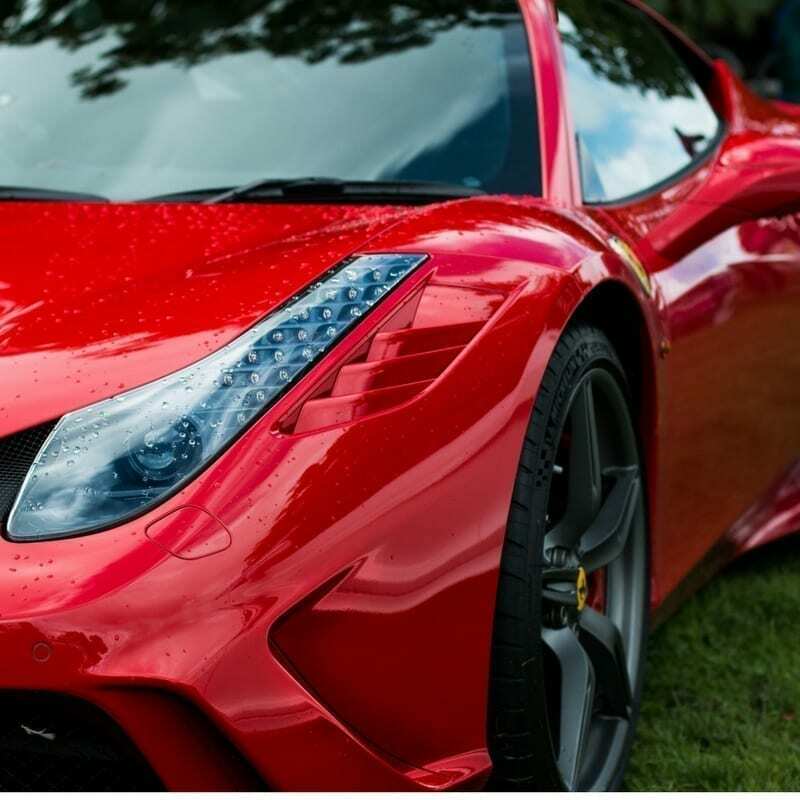 Enjoy an entry-level Ferrari experience perfect for those with a limited budget. Feel the power and thrill of driving a Ferrari F430 for a full 30-minutes, 60-minutes or 2-hours. Prime Scenic Rim produce and native Australian ingredients combined with traditional cuisines in a 4-hour experience not to miss. The setting is the gleaming stainless steel kitchen of the Wild Lime Cottage in The Lost World Valley, overlooking the dramatic mountain scenery of Lamington National Park. Enjoy a leisurely 90 minute illuminated kayak journey on the iconic Brisbane River with your friends or family. When you return you can enjoy a shared dip platter and an assortment of chilled beer, wine and soft drinks. From Meeanjin (Brisbane City), cruise down Maiwar (Brisbane River) as local Aboriginal guides share dreaming stories of the land and waters. 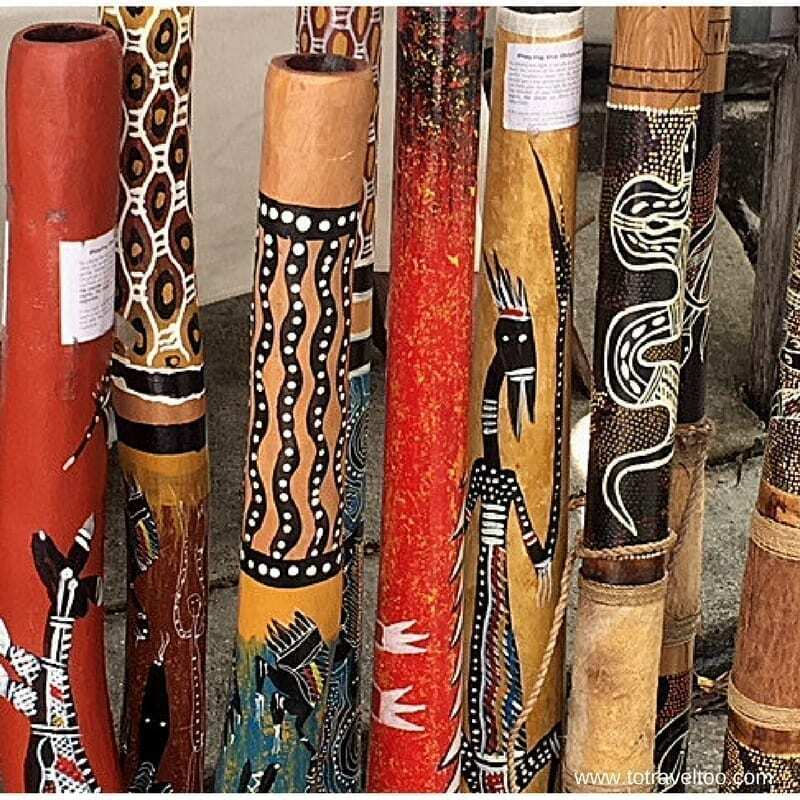 Enjoy an intimate weaving circle, learning the local Aboriginal language, didgeridoo playing and a display of ancient Indigenous artifacts on board. From Maiwar, traditional Yuggera Country, cruise into Quandamooka waters and across the bay to Minjerribah (North Stradbroke Island). On Minjerribah, you will be welcomed with a traditional smoking ceremony. In a stunning location at Mooloomba (Point Lookout), enjoy a lunch of native bush tastes and fresh seafood followed by optional activities including boomerang throwing, a guided cliff top Gorge Walk and wildlife sighting. In the afternoon the Yulu-Burri-Ba Dance Group will dance traditional songs by Bummiera, a freshwater tea-tree lake. Photograph Brisbane’s hidden and iconic hot spots while you learn to use your digital camera. You’ll receive personalized attention with a professional photographer as your mentor and guide. Aimed at beginners, this private 2-hour walking tour offers a hands-on and one-to-one experience so you can improve your photography skills while exploring the city. 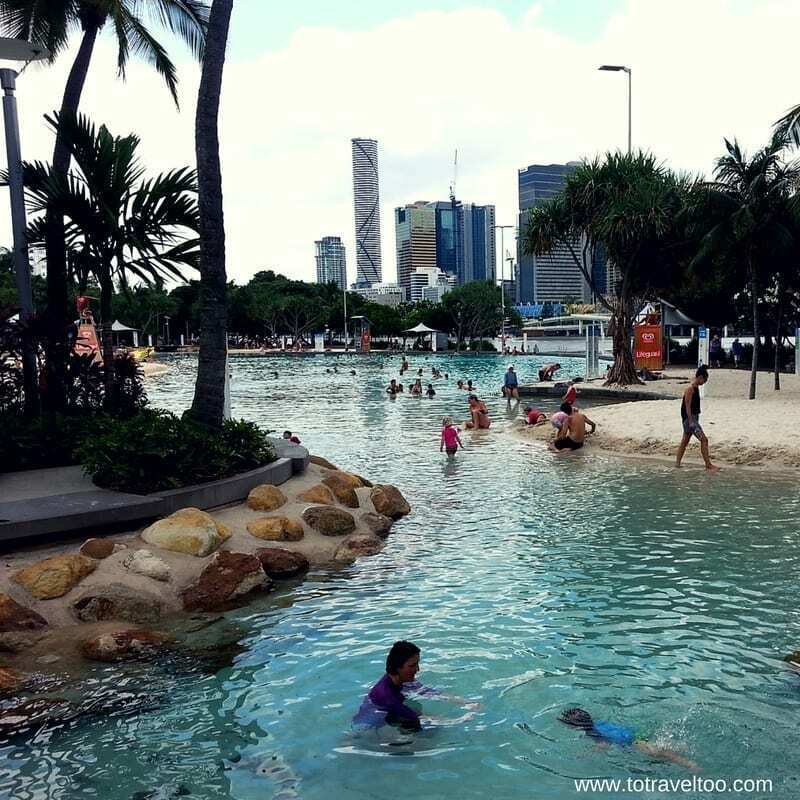 Enjoy a day at Brisbane City’s inner city man-made beach located at Southbank. A free exercise program in the South Bank Parklands where you can enjoy up to 9 free classes between the months of January and March. Visit New Farm Park a great place for families. You can either get the City Cat or the City Hopper to Sydney Street and walk or free bike there. If you take the free bike it is free for 30 minutes and you must wear a helmet. The park has Morton Bay Fig Trees that are great for the kids to play on their vines. There are also bbq areas and a children’s playground. Professionals show off their Latin dance moves from 7.00pm and free dance classes start at 8.00pm. Anyone can join, no bookings required and do not worry about your skill levels, everyone has to start somewhere. Enjoy Brisbane’s free weekly music program at stages in the Queen Street Mall, Southbank and Post Office Square. Watch the stunning sunsets from Kangaroo Point. Walk the length of the River Walk from the Bicentennial Bikeway to New Farm and Merthyr. Experience Queensland at its best with this Brisbane to Cairns Travel Pass. Visit the well-known highlights of Noosa, Airlie Beach and Magnetic Island combined with guidance, flexibility and access to amazing experiences off the beaten track! Click here for latest prices and more information. Escape the city for a weekend of Byron Bay culture. Byron Bay is well known for its funky cafes and shops. The iconic surf village of Byron Bay offers the opportunity to get amongst the beach life Australia is famous for. Escape the city for a weekend of surfing and fun in the sun at a surf camp. During the day you’ll be learning to surf on some of the worlds most pristine and uncrowded beaches, Saturday nights are always a blast around the campfire. See Glow Worms, Sugar Gliders, Whirring Treefrogs, Marbled Frogmouths and other remarkable flora and fauna on this 2-day trip to the UNESCO-listed Lamington National Park from Brisbane. O’Reilly’s is situated in the center of the cool, quiet rainforest of Lamington National Park, with spectacular panoramic views. This one day tour is fully guided by our experienced fishing guides. 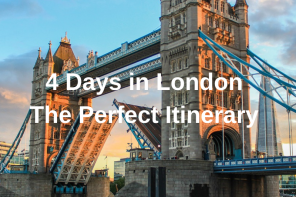 Departure time is flexible but allow 2 full days. Our helicopter will take you 90 minutes west of Brisbane to the dry outback areas which promise some of the best Cod fishing in Australia. Also expect to catch yellowbelly, bass, sooty grunter, welch grunter, Murray cod and even Barramundi. Click here for latest prices and availability. Enjoy this 3-day guided tour of the Great Barrier Reef. Spend two nights at a beach resort, and take a day trip to Lady Musgrave Island for a slice of paradise on the southern section of the Great Barrier Reef. Visit the world’s largest turtle research center (April to October), experience Mon Repos Turtle Centre’s conservation experience (November to March), or try to spot humpback whales (June to November). Click here for more information and latest prices. Experience the freedom and exhilaration of being in charge of your own kayak adventure. Go where you want, with who you want, at your own pace and decide where you want to camp. An overnight adventure enables more time to explore and relax. Kayak into the remote wilds of the Cooloola National Park and camp beside the pristine Upper Noosa River. The Shingle Inn opened in Autumn 1936 on Edward Street Brisbane. The cafe got its name from the shingled awning which can still be seen in the City Town Hall. The architects were Hall and Phillips. It was taken down and stored in pieces and reestablished in the City Hall in April 2013. Shingle Inn is famous for its Patty Cakes and delicious coffee. In the early 1940s, the Shingle Inn Cafe introduced lemon meringue pies and butterscotch waffles to cater for the American World War II soldiers. Shingle Inns are now franchised and you can find them throughout Queensland, New South Wales, ACT, Victoria and Western Australia. Corbett and Claude is located in the old heritage listed Queensland Commercial Travellers Association Building. 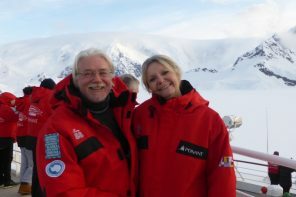 The Association was formed to bring friends and colleagues together to enjoy good food and wine whilst sharing their travel stories. 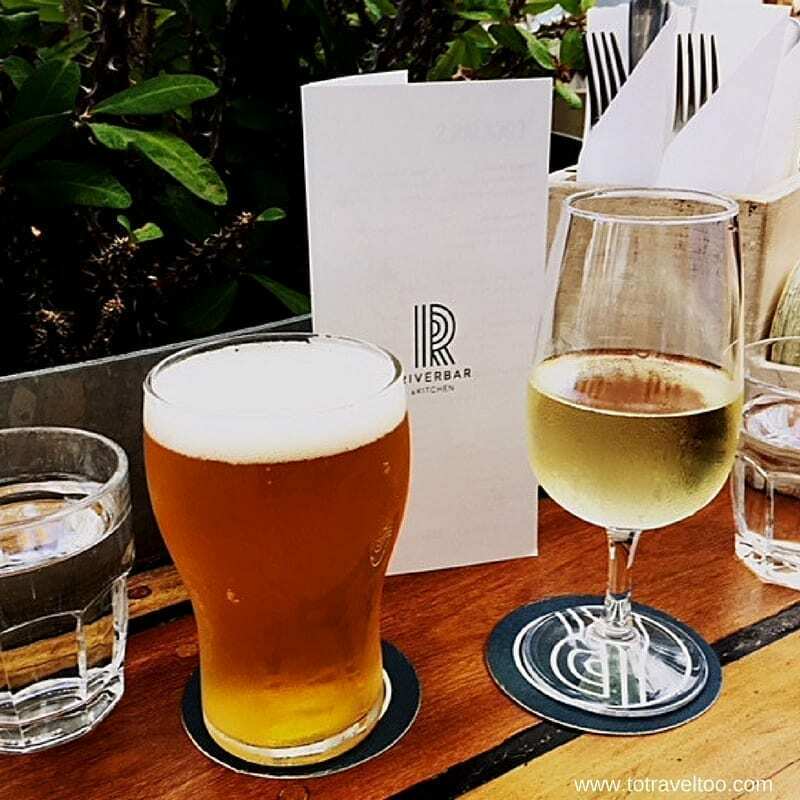 Located on the Brisbane River, Riverbar & Kitchen boasts the ‘best beer garden in Brisbane’ and they are not wrong. They have great views, scrumptious food, and the best tagline ‘there’s no place you’d rather be’. Enjoy a cold beer or chilled glass of wine after walking the length of the Riverside Walk or after a riverboat journey on many of the tours that are available. Located at Little Stanley Street in South Brisbane Viet de Lites offers the freshest tastiest Vietnamese cuisine in a modern colourful and calming setting. 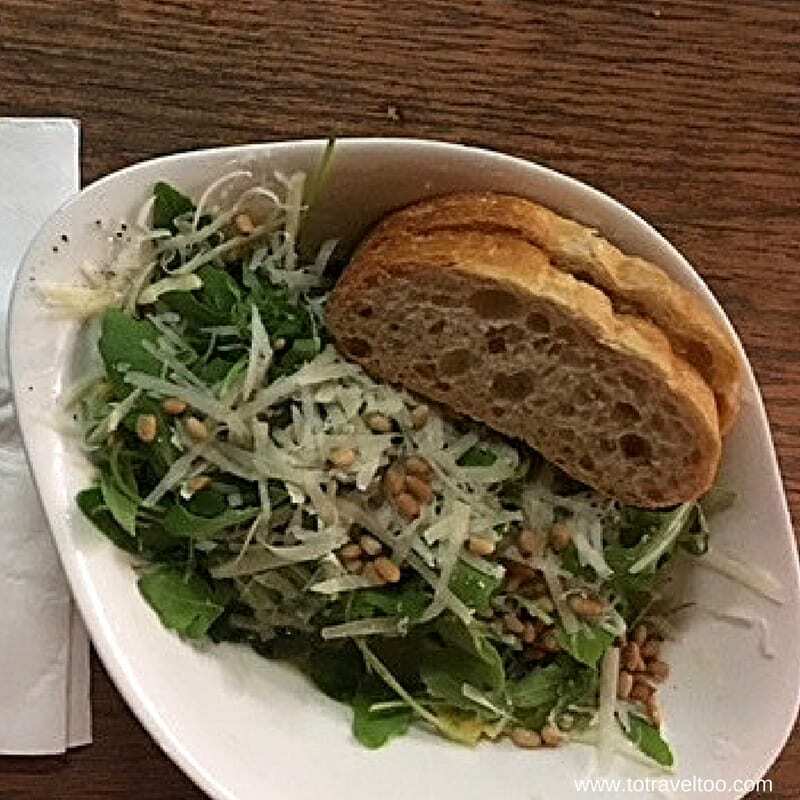 If Italian is your favourite cuisine you can’t go wrong with a visit to Vapiano located in Albert Lane off Queen Street Mall. It was buzzing the night we turned up with a group of 12 people. You are given a card which you hand over to the bar or food sector when ordering and pay as you leave. Eagle Street Pier has 15 restaurants and bars with river views to choose from, you will be spoiled for choice here. 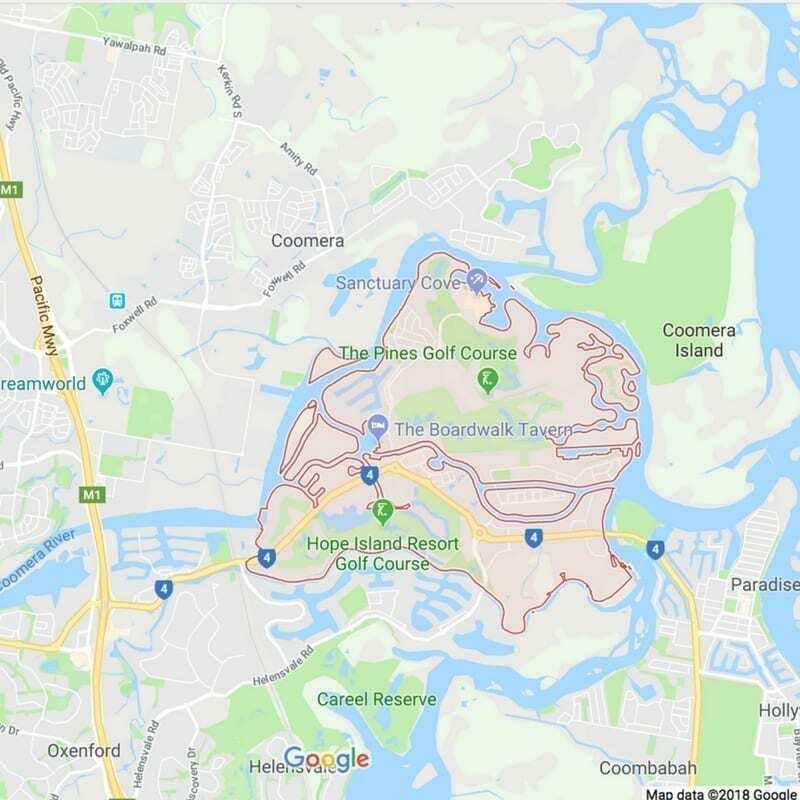 Another local tipped us off to an area in South Brisbane around the streets of Dorchester and Montague where there is now a new happening restaurant scene. Unfortunately, we ran out of time to venture there. Cafe on the Goodwill Bridge Open from 5.00am daily #1 The Goodwill Bridge. Check out their Friday Happy Hours, reservations required. You can pick up your own personal copy of the Brisbane Dining Out Magazine at the Visit Queensland office in Queen Street Mall. 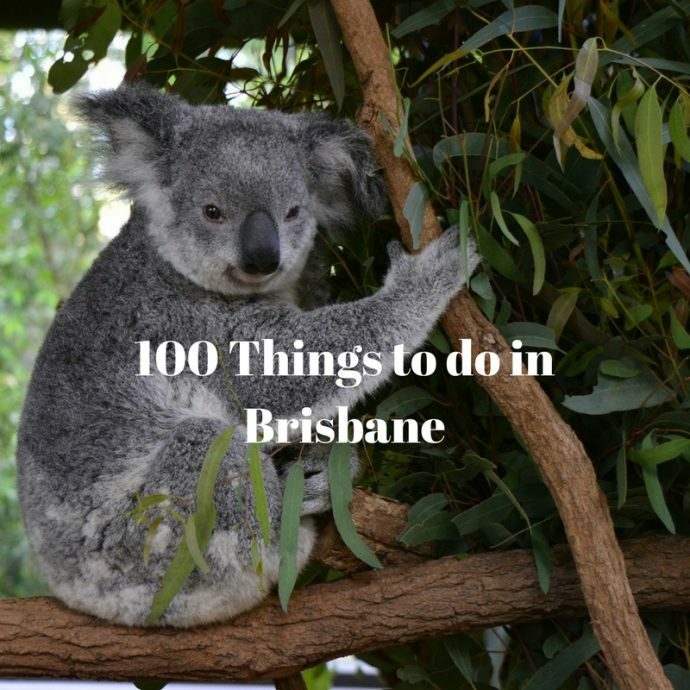 Actually, there are more than 100 fun things to do in Brisbane but you will probably need more than 2 weeks! 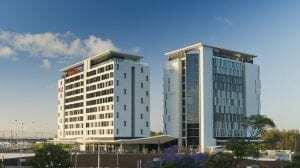 We were fortunate to be able to visit the newly opened Ibis Hotel and Pullman Hotel whilst attending a travel function at Brisbane Airport. Both hotels are stylish in design, a great location within the domestic terminals with access via a covered walkway. For those of you who are using the International Terminal, both hotels are located a few minutes drive away or just hop onto the Airtrain. The Ibis Hotel has 243 rooms available, all are soundproofed, with fast WiFi and great views. The Crib Island Beach Club Bistro is perfect for scrumptious burgers and pizzas. The Pullman Hotel, 5 star luxury at the airport has 132 rooms, stunning interior design and a sleek swimming pool to unwind after a long flight. 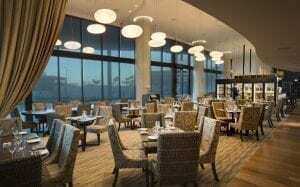 You can enjoy a drink or dinner at the Apron Restaurant and Bar. 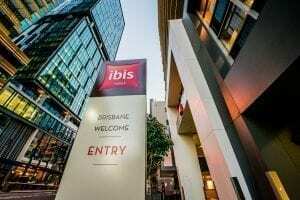 We stayed at the Ibis Hotel located in the centre of the CBD at Turbot Street. The hotel was ideally placed for the City Hopper just a 10-minute walk away. The breakfast buffet was plentiful with lots of choices, the rooms equipped with good fast Wifi and tea and coffee making facilities. A perfect stay and location for checking out the 100 things to do in Brisbane. 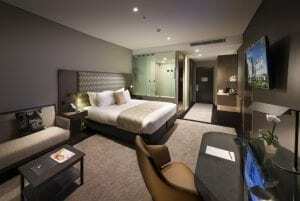 Next Hotel Brisbane, a 4.5 star hotel located at 72 Queen Street Mall with a rooftop bar and swimming pool. 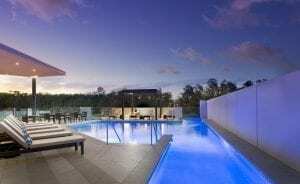 Mercure Hotel Brisbane that overlooks the Brisbane River and Southbank and located at 85 North Quay Brisbane. 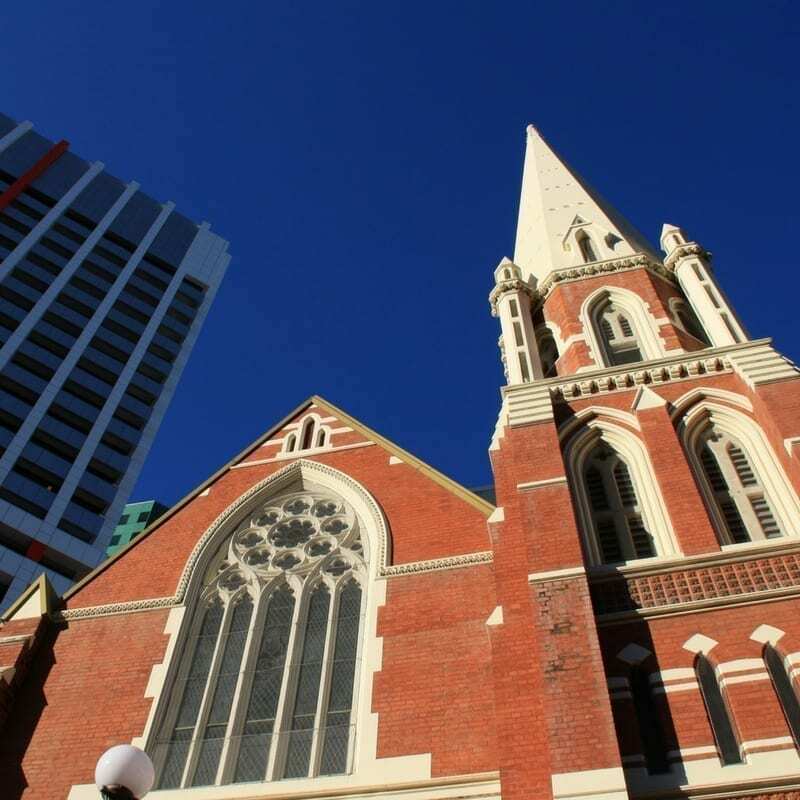 A central location with only a 8 minute walk to Queen Street Mall. 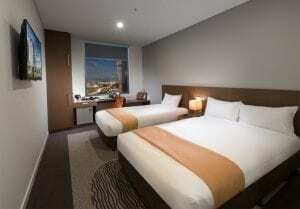 Meriton Suites located in the heart of the CBD in Adelaide Street just a 10-minute walk from Central Station. They offer an indoor heated pool and fitness centre. The Sofitel Hotel located in the heart of the CBD at 249 Turbot Street is a 5 star luxury hotel offering an outdoor pool and a day spa. Brisbane has plenty of accommodation available through Airbnb. If you have not tried Airbnb before we can offer you a special discount. Click here for your first Airbnb booking and save $$$. To Travel Too Tip: Great tip from the staff at Airtrain at the Airport when you visit Brisbane. Purchase a Go Card Brisbane’s Transport Card. Buy a return Air Train ticket and then buy your ‘go card’ when you work out all your travels. 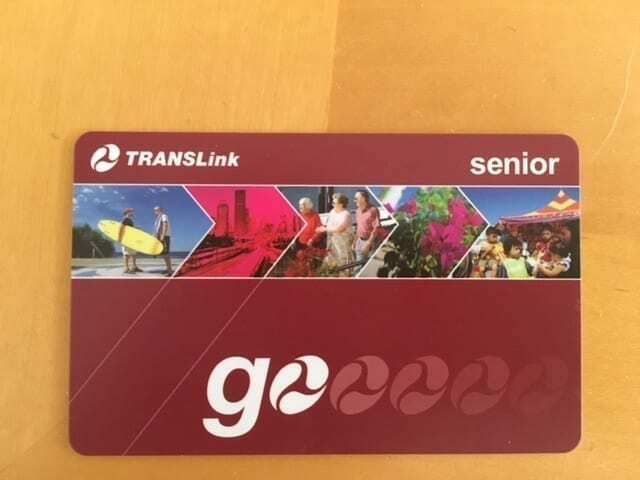 Seniors with an Australian Senior Card can purchase a discounted ‘go card’ on presentation of your card. You can take the Airtrain from Brisbane Airport to the Gold Coast and if you book online you can save up to 15%. The Airtrain does not take you directly to the Gold Coast, you have to transfer at Helensvale to the tram. There is a ‘My Translink App’ an online app, with an online alert when your stop is 400m away and update service information. Brisbane International Airport is located 15km from the CBD. There are the two terminals Domestic and International and serviced by many international carriers. It is the 3rd largest Airport in Australia. Click here to check for the latest Brisbane flight deals. If you are interested in hiring a car click here for the latest deals. 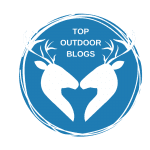 If you love this article why not PIN it for later…. 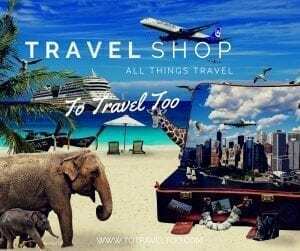 Check out our new travel shop. 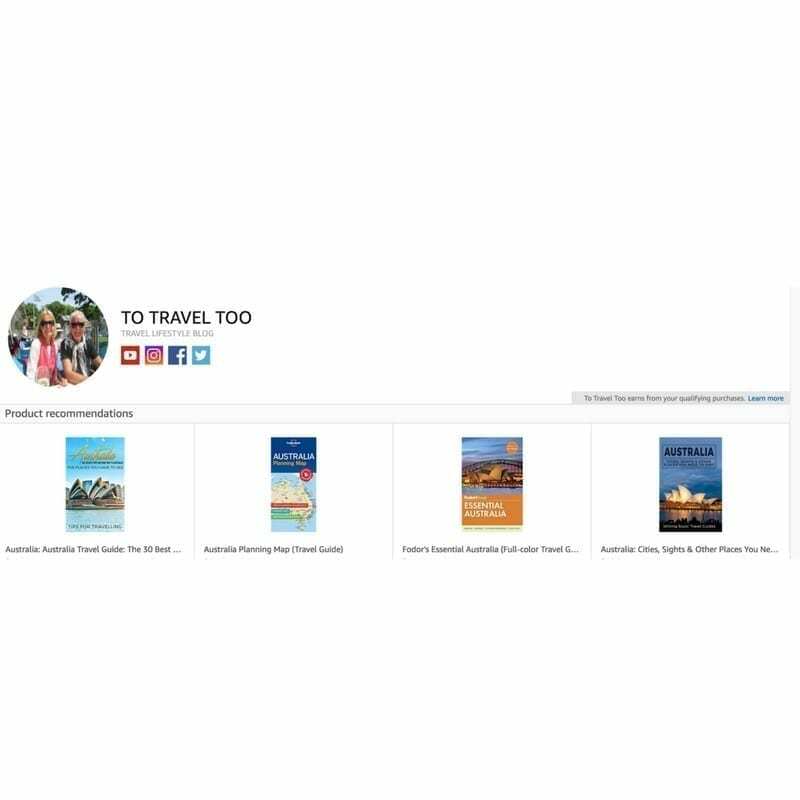 We always recommend travel insurance whenever you travel. Click here for the latest prices and information. Wow! That’s the most comprehensive guide to any city I have seen! I have been to Brisbane a few time, but now I feel that I haven’t seen the city at all. Thanks for your comments Margarita. We fell in love with Brisbane. 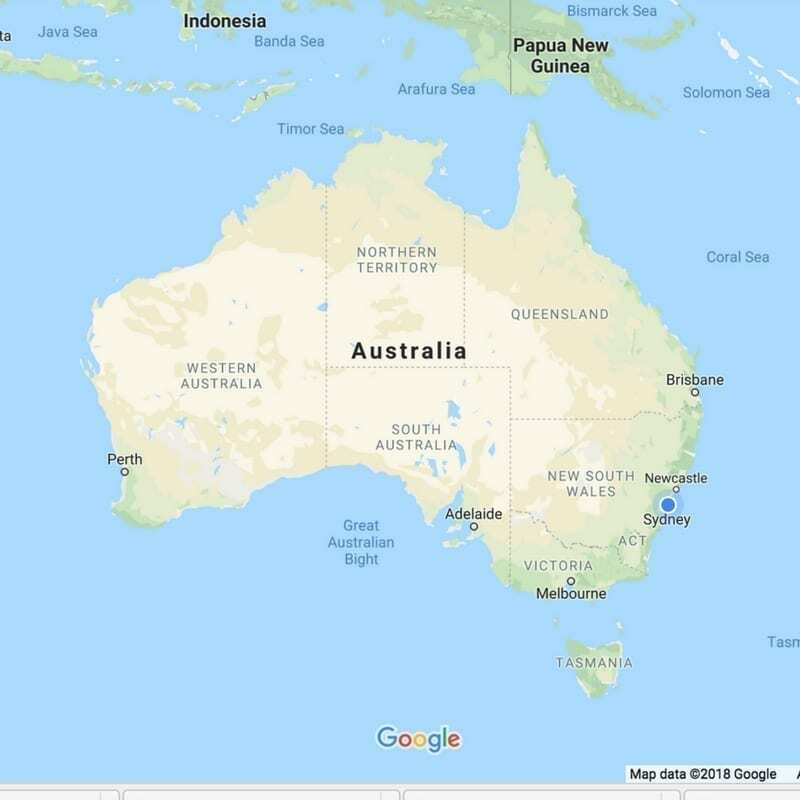 I visited Australia many years ago but never made it to Brisbane. After reading your list, I to come back to Australia and base myself in Brisbane for a while. I’d love to explore the food scene. I think the Brisbane Greeter Tours would be worth looking in to. I love learning about any city I visit from a local. The free hopper bus is another drawing card! Hope you get a chance to visit. It is such a fun place. 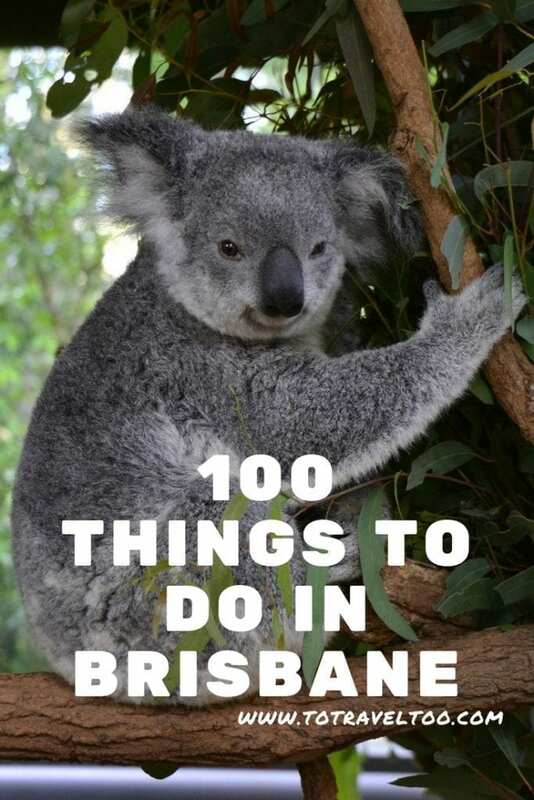 Woah, how did you manage to list out a hundred things to do in Brisbane? That’s a really huge list. I would need a week or more to accomplish all of that. Hats off to your research and travel enthusiasm. I would spend more time in the markets and museums, zoo is not my thing, so would let that go. 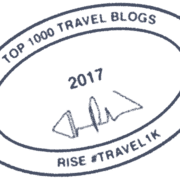 Yep, it is a big list but Brisbane is worth it. It must have been exciting to visit Brisbane after all those years and see how it changed. I love going back to places Ive been to see how they develop. I havent been to Australia yet but I definitely wanna visit Brisbane ones I am there! Its such a beautiful places and who would though there is so much to do there! I love all those amazing option of spending time you put here and its such a perfect list! Thank you so sharing it! Thank you Ada for your comments. Wow, what a comprehensive article! 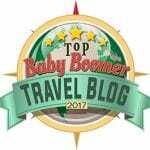 I visited Brisbane before but I didn’t do a lot of the things you mentioned on this list! I would definitely have to visit again after reading this artice! Brisbane awaits. You won’t be bored visiting! WOW!!! This is one serious list and it sure covers everything! I lived in Brisbane when I was in boarding school which meant however that I didn’t see much of it. I just attended a wedding at the Powerhouse in New Farm late last year and what a fantastic and versatile facility. 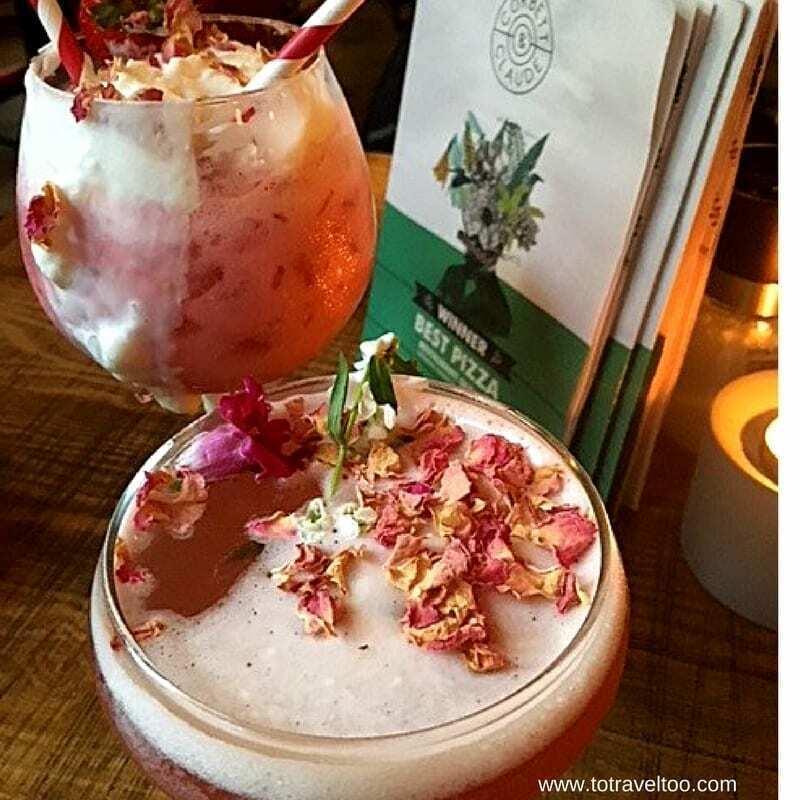 Love all your ideas about places to visit for 1 night out of Brisbane. One of the great advantages of staying up there is access to those places so easily. 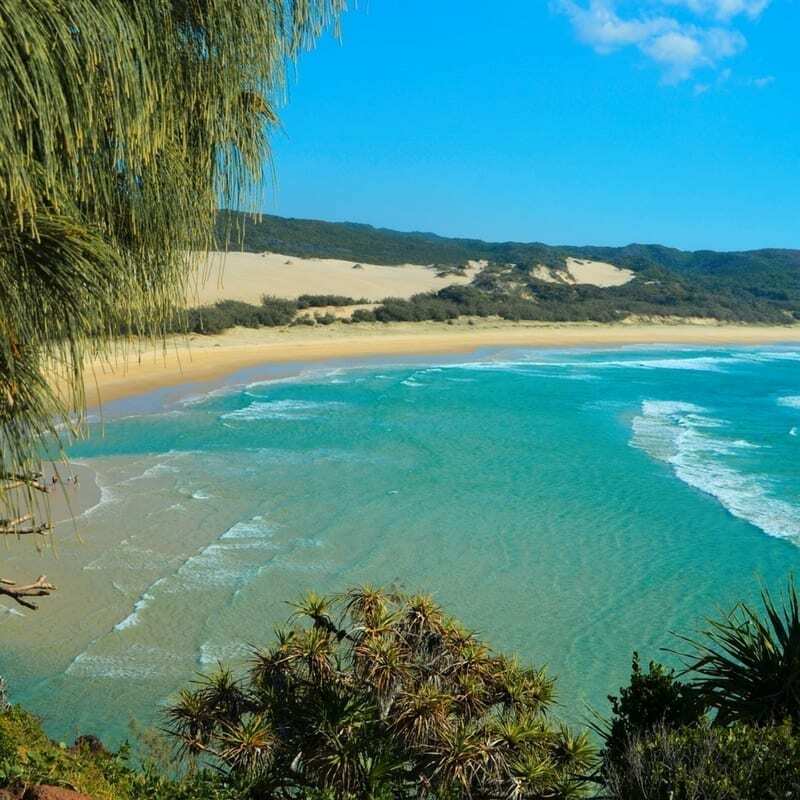 Fraser Island is very high on my list! Thanks for your comments. It is such a vibrant city to visit. There is so much to see and experience in Brisbane. The city seems to have everything and is a complete family destination. 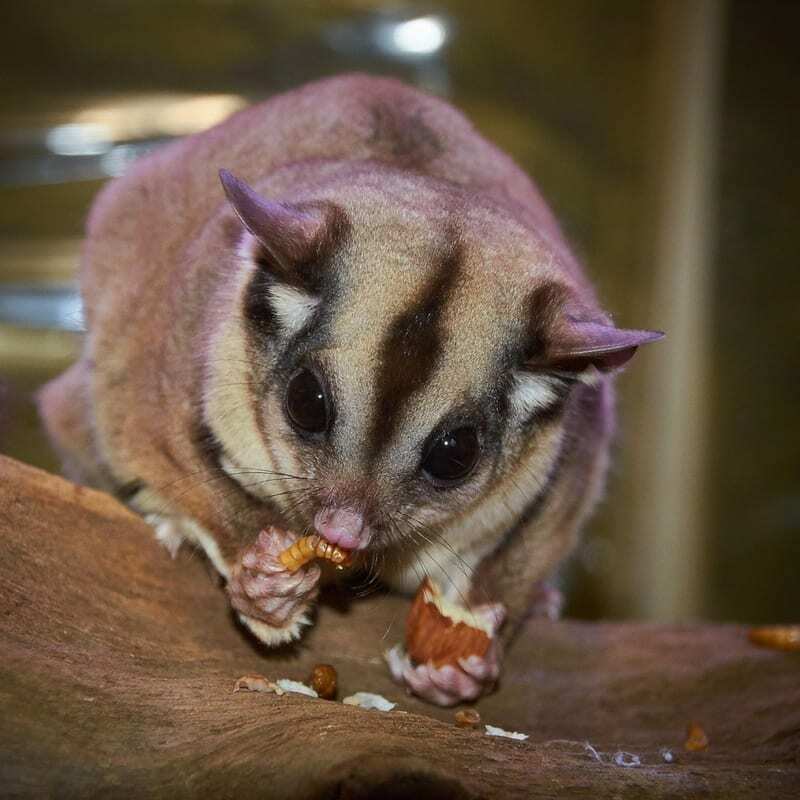 When we do get to Brisbane, the first place we would love to get to would be Lone Pine Sanctuary to mingle with the Koalas and the Kangaroos. Lone Pine is such a favourite with everyone. Koalas are the cutest ever! Thank you for your comments. Yes, you will need to spend at least a week in Brisbane hopefully more. This is such a comprehensive list! I’ve not visited Brisbane yet but it’s definitely on the list. The Lone Pine Sanctuary River Cruise sounds like my kind of thing though. I definitely want to meet some Koalas! Thank you for your comments. You will love the Koala.